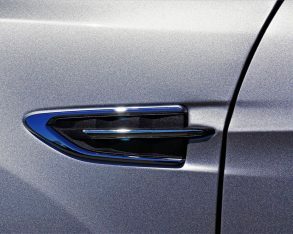 in the process. 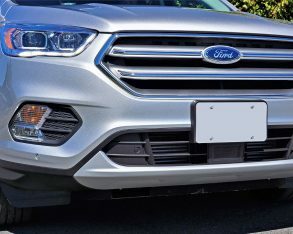 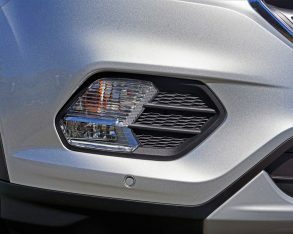 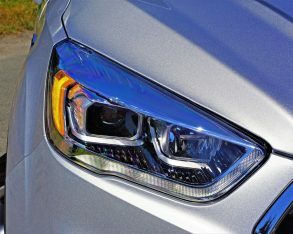 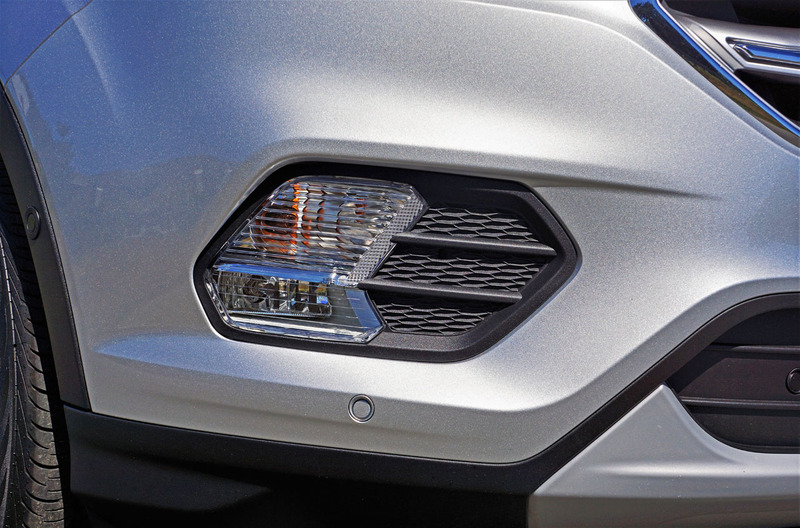 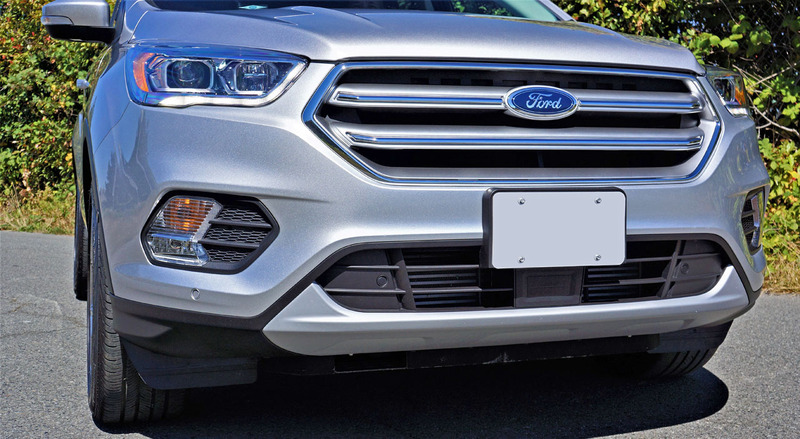 This will be good news if you like Ford’s mid-size five-seat SUV, but I must say the Escape has certainly lost some of its unique character after swapping its unorthodox grille-less façade for a more commonplace six-sided grille design. 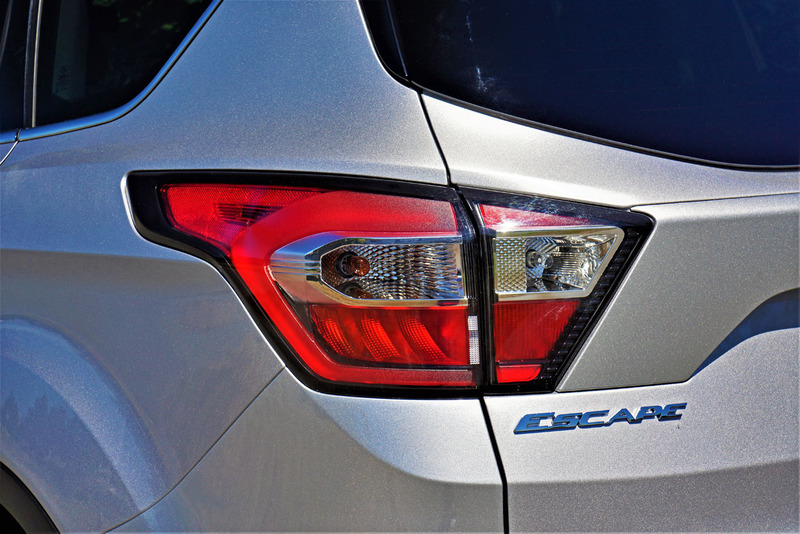 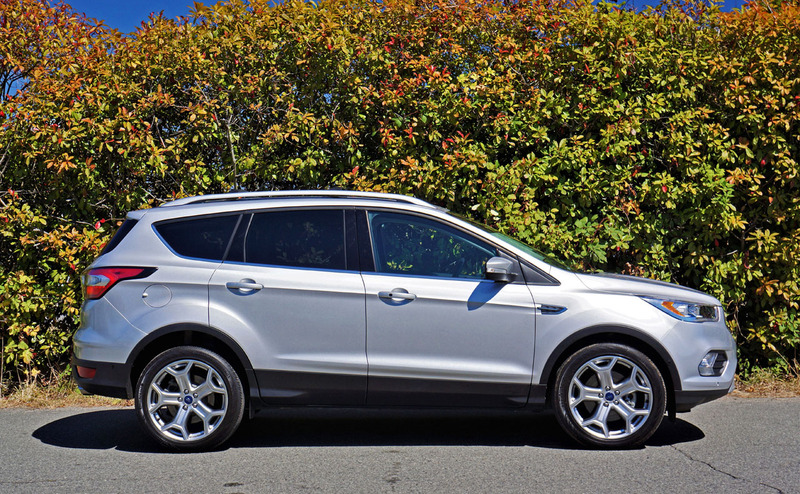 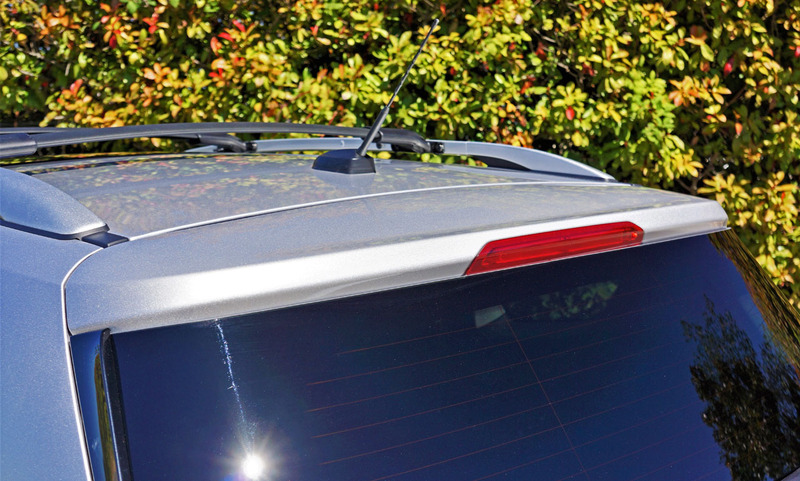 It seemed like longer, but the third-generation Escape has only been with us since 2012. 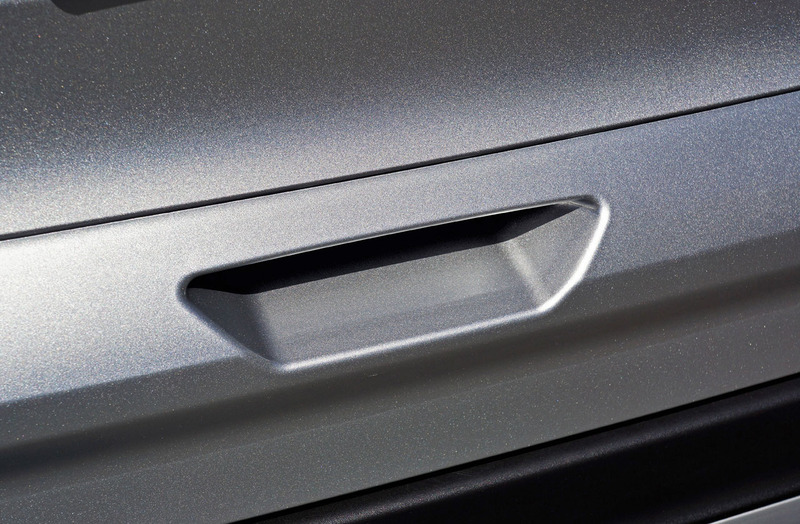 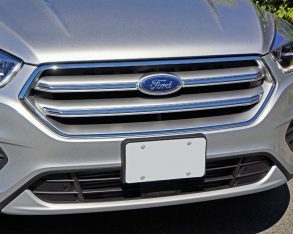 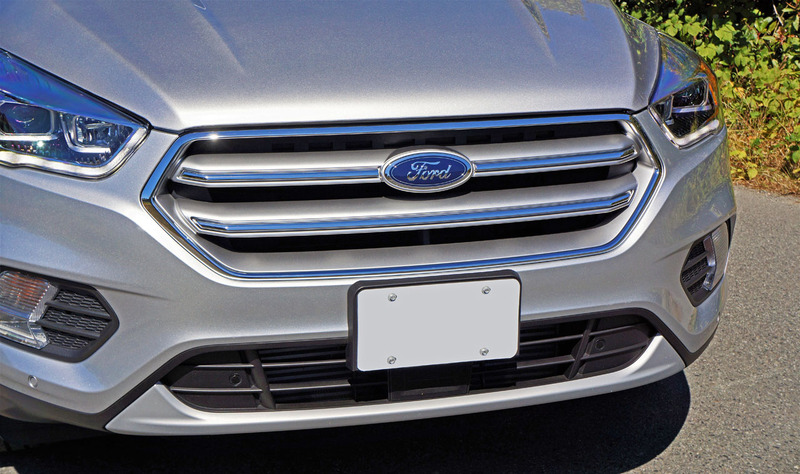 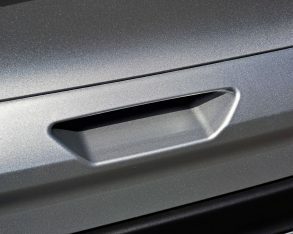 That model wasn’t exactly grille-less, but rather had less of a grille than the rectangular egg crate design attached to the more upright, boxier SUV that preceded it, the 2013 through 2016 model featuring a narrow slit just under the lip of hood, followed by a fairly large opening below the bumper that extended to each side in triangular grillettes. 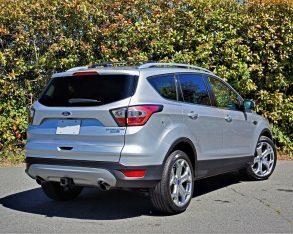 comparison the new model is much more conventional, which just might appeal to more compact SUV buyers. 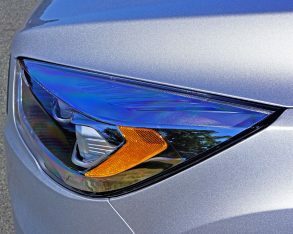 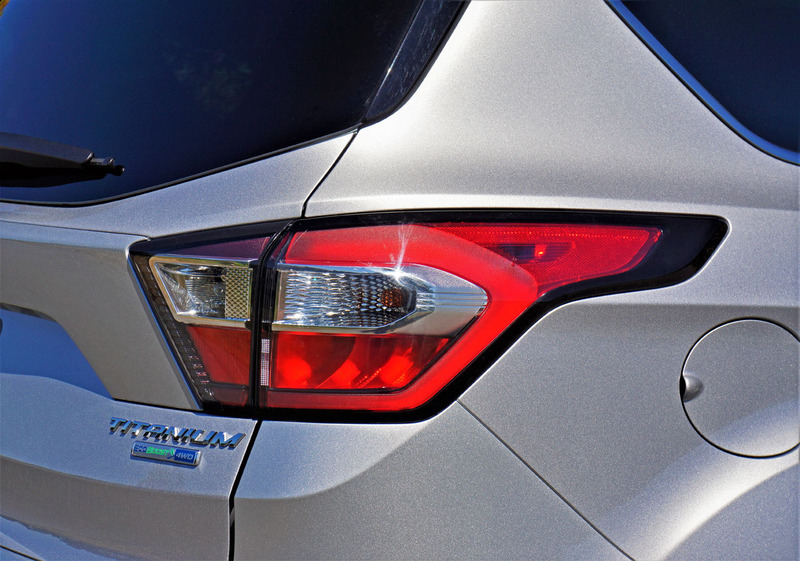 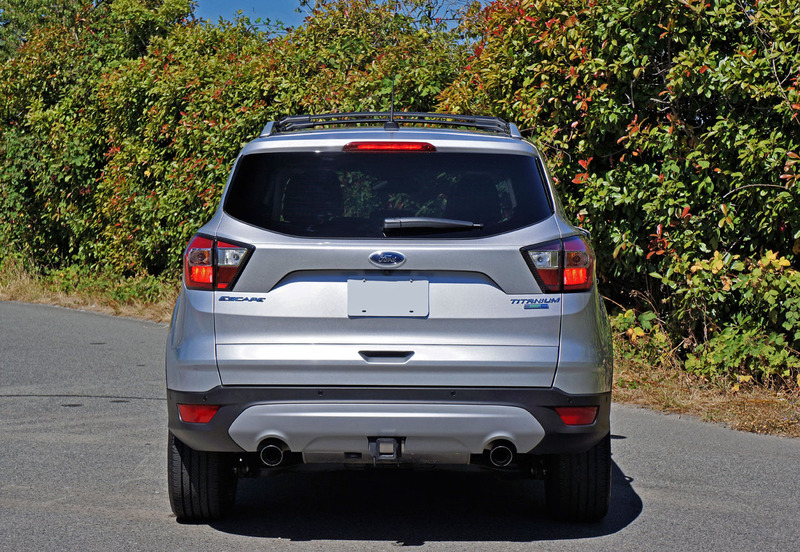 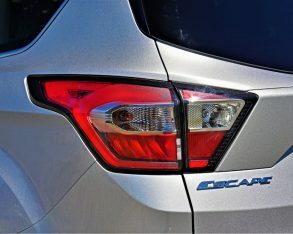 Along with changes to its front fascia, the 2017 Escape also gets a new hood and redesigned headlight assemblies, plus subtly reworked taillights that form into a reshaped liftgate that looks as if Ford simply pasted some plastic cladding overtop the old tailgate. 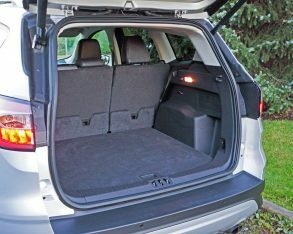 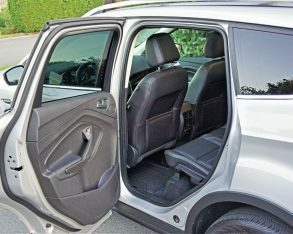 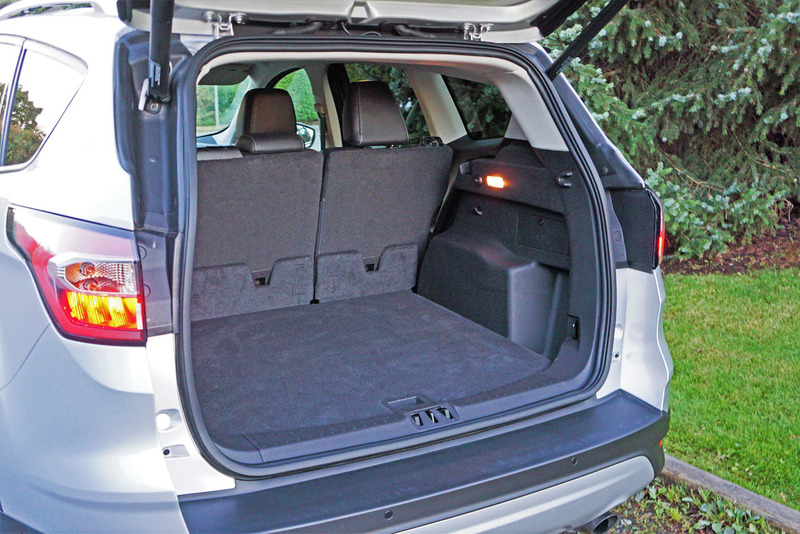 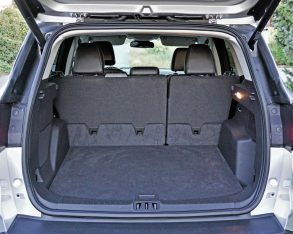 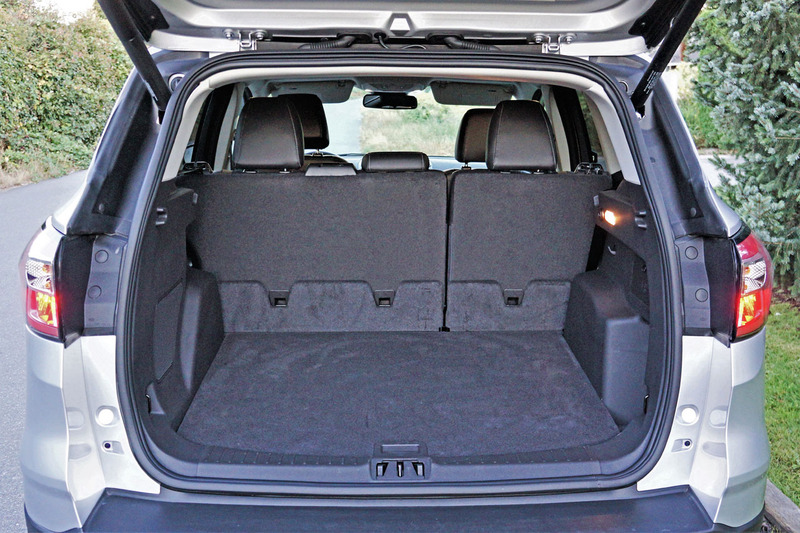 It works, giving the SUV’s rear design a little more complexity while creating change, even if only for the sake of change. 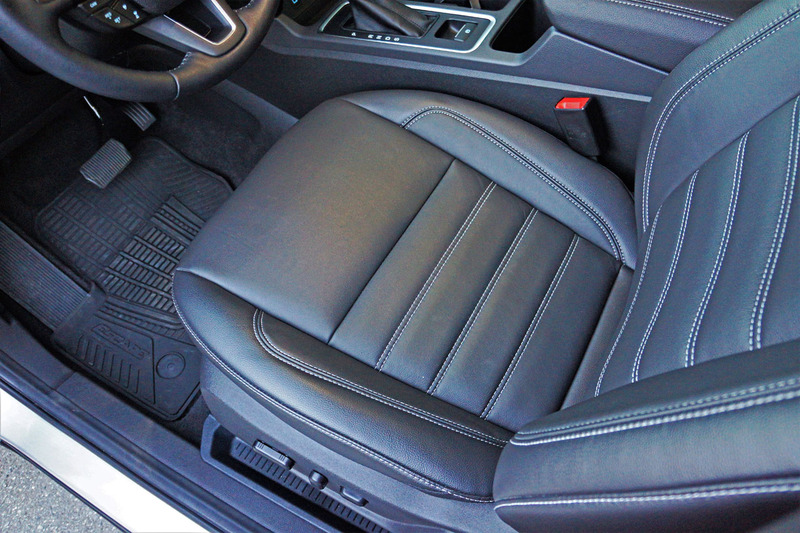 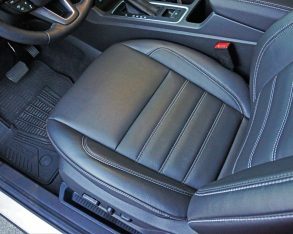 more similar to the old SE trim’s horizontally ribbed design albeit covered in leather, while light grey contrast stitching is used liberally. 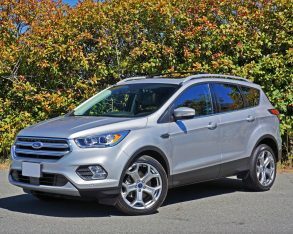 I’m sure there are those who will knock Ford for providing a mid-cycle makeover when this five-plus year old model should really have received a full fourth-generation redesign, but a considerable drop in sales over the past two years and even more significant plunge in popularity may be more accurate satisfaction index markers. 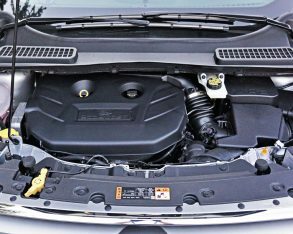 calendar year 2014 when it sold a record 52,198 units compared to Honda’s 37,684 CR-Vs, Toyota’s 36,639 RAV4s, and Nissan’s 28,827 Rogues. 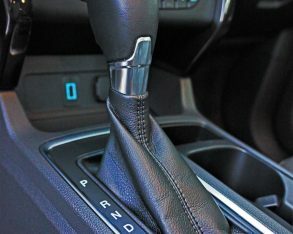 There were plenty of others in the running that year, but we’ll leave these alone for a moment as only Jeep’s then-new Cherokee managed to break 20,000 units at 22,529. 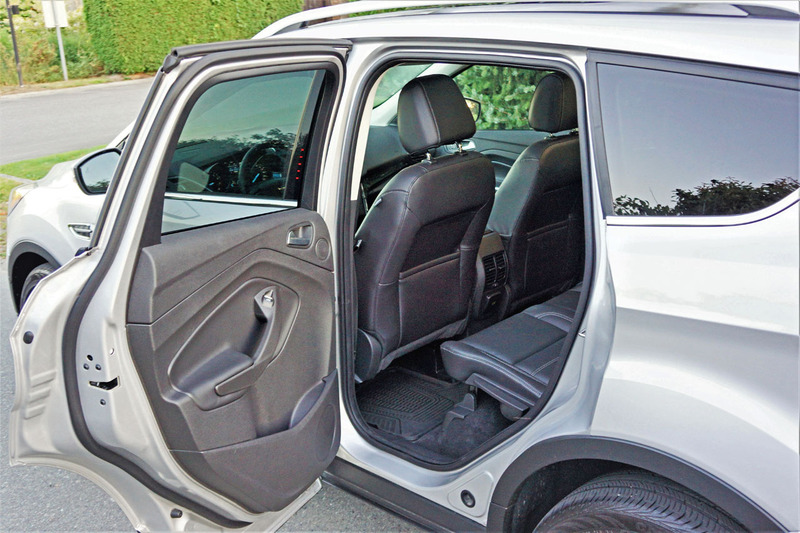 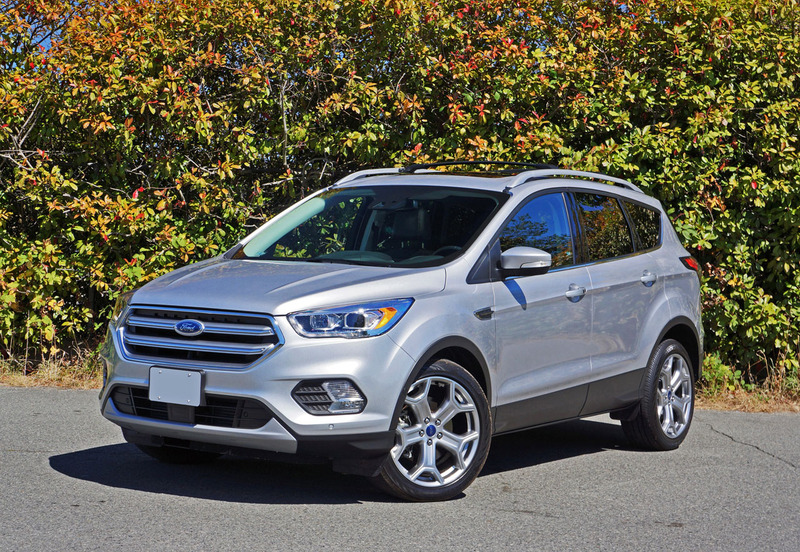 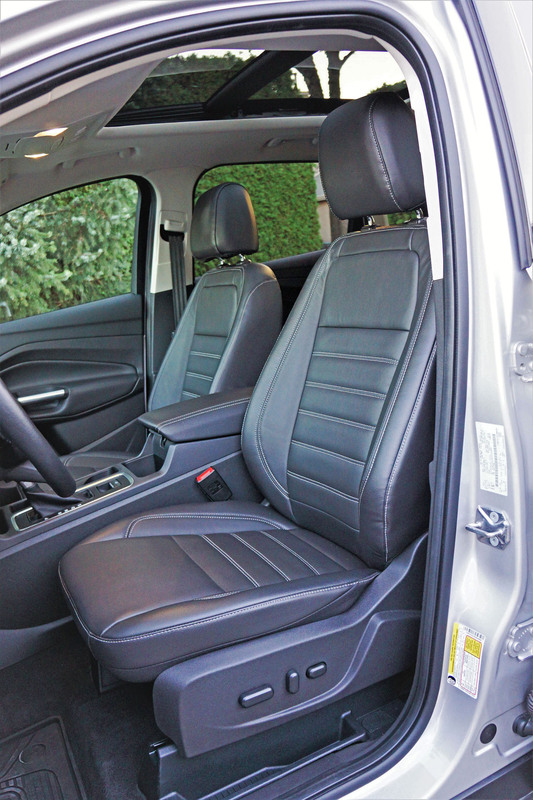 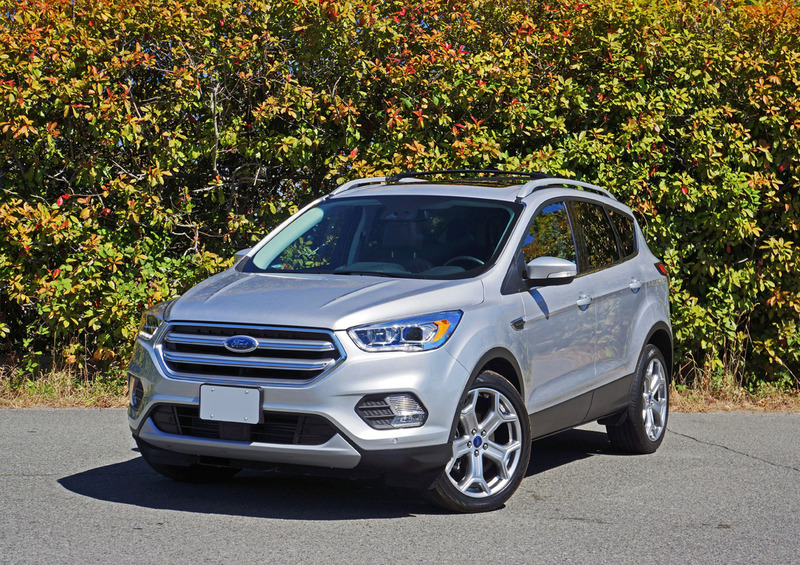 After another 12 months the Escape lost almost 10 percent of the previous year’s sales volume, dropping to 47,726 deliveries in 2015, while its competitors started nipping at its heals. 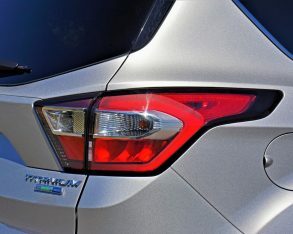 The RAV4 came closest with 42,246 sales, while the CR-V managed 38,961, the Rogue achieved 35,841, and the Cherokee grew to 31,833 (amongst remaining competitors only the Mazda CX-5 rose above the 20k sales level to 22,281). 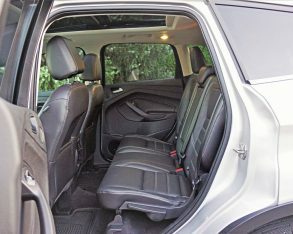 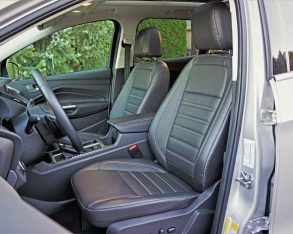 placement to the RAV4 with just 46,661 sales to the Japanese brand’s 49,103, while CR-V deliveries grew to 44,789 units and the Rogue finally eclipsed the 40k barrier to 40,055 units, while the first three months of 2017 have seen the Escape’s sales slow to 8,932 units and all three import brands hustle right on by albeit a changing of the guard up top with the RAV4 now in third with 9,979, the CR-V in second with 10,465, and the Rogue ahead for the first time ever with 10,481 sales. 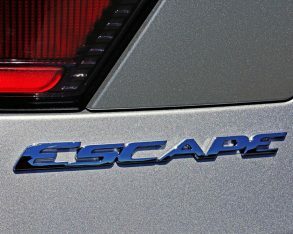 There’s no way of knowing which model will rise to the top after four quarters are accounted for, but it appears clear the fourth-place Escape won’t be leading the charge. 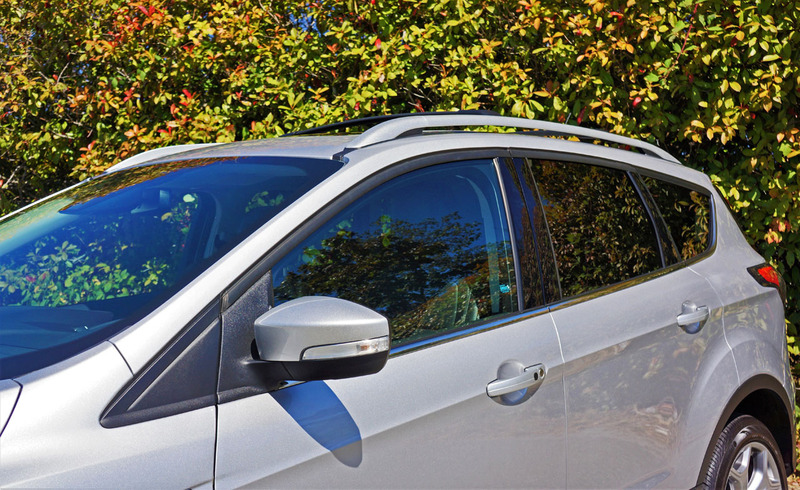 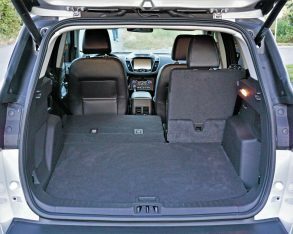 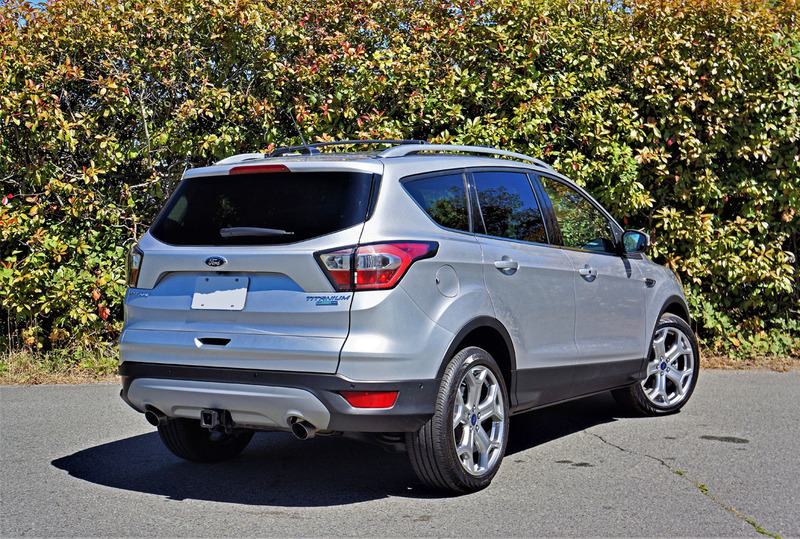 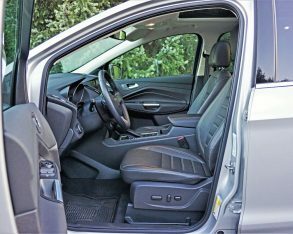 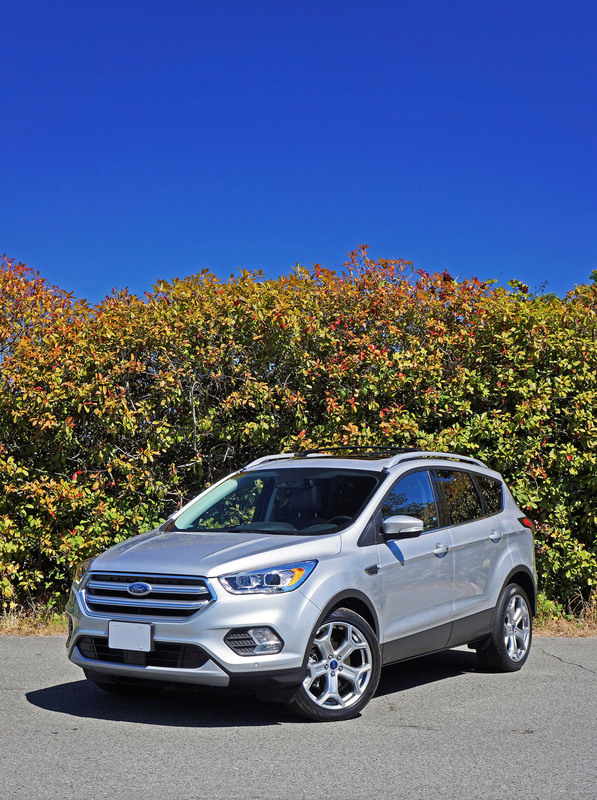 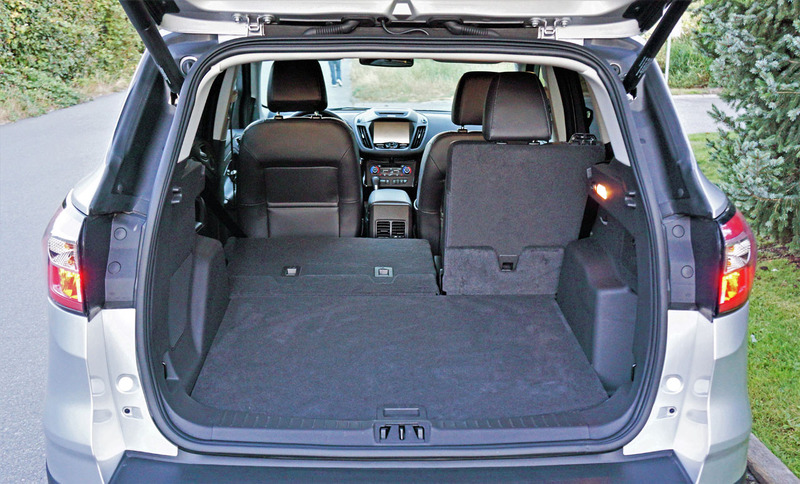 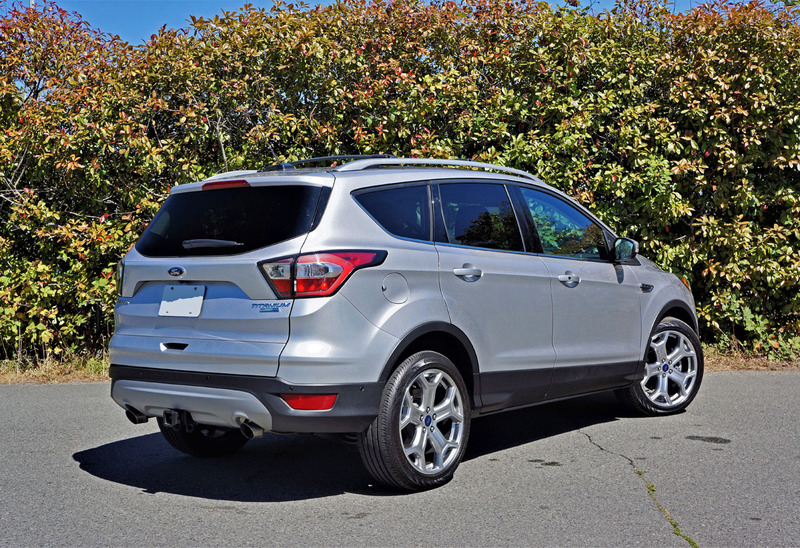 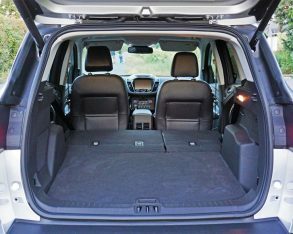 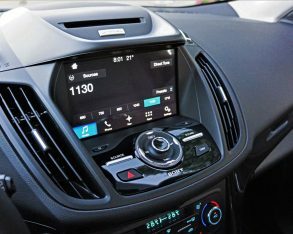 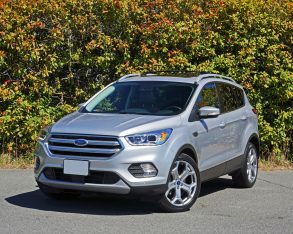 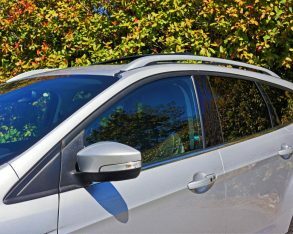 of more recently redesigned models, reason enough for its sales to slip, but the third-generation Escape has been much more advanced than its rivals for so many years that it didn’t need as many changes to bring it up to snuff. 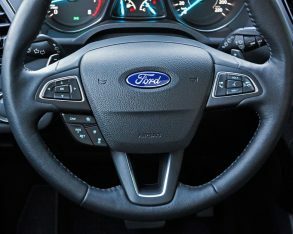 Like I said before, much of what’s been done is change for the sake of change, Ford understanding that the market isn’t only driven by needs, but by wants too. 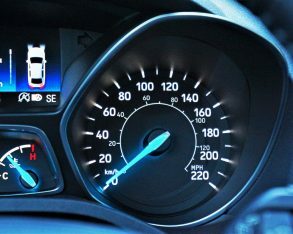 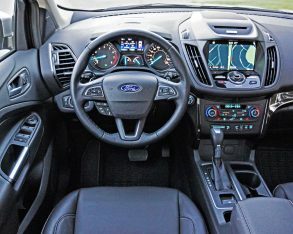 To be clear, some key features most of its competitors changed with their redesigns remain the same with this newer Escape, particularly its longtime use of high-quality soft synthetics on commonly touched surfaces, its carryover TFT colour multi-information display within the primary gauge cluster, and its large Sync 3 infotainment touchscreen already boasting some of the industry’s best graphics and fastest speeds, now updated with Apple CarPlay and Android Auto. 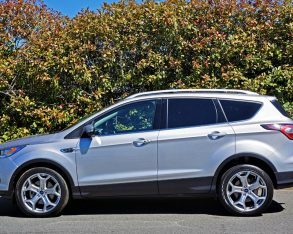 always liked the way this third-gen Escape drove, and now for 2017 it’s even better thanks to a lot more power from its redesigned engine lineup. 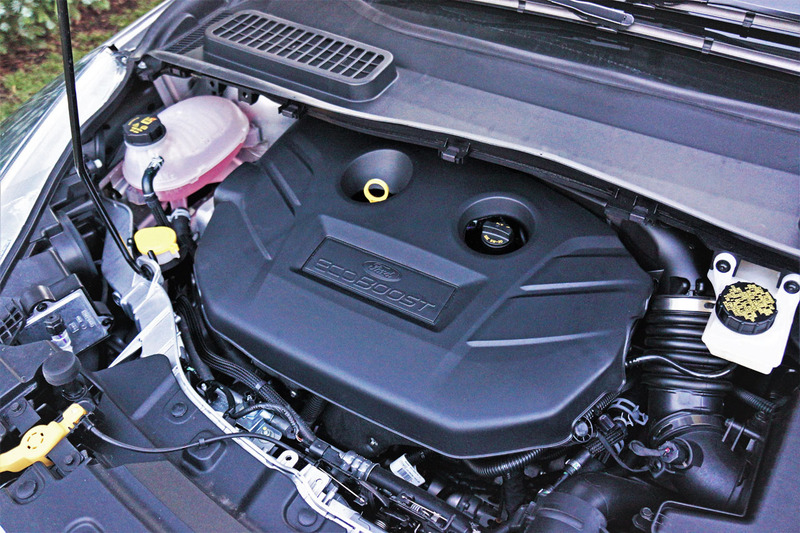 I can only comment directly about the top-line 2.0-litre twin-scroll turbocharged and direct-injected four-cylinder that I drove, its output up 5 horsepower to 245 and torque bumped up by a much more significant 44 lb-ft to 275 for a much more energetic launch from standstill and superb highway passing power. 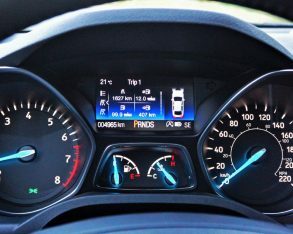 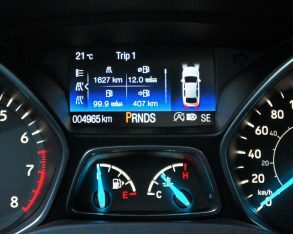 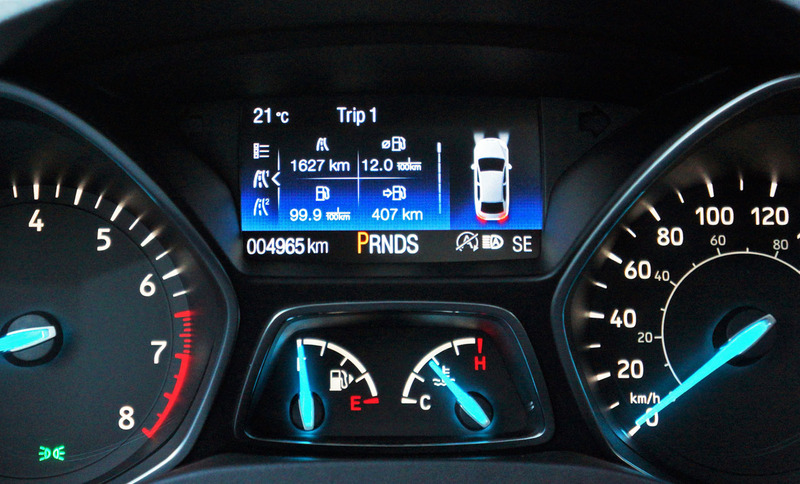 drive models achieve a claimed 10.6 L/100km in the city, 8.0 on the highway and 9.4 combined, and four-wheel drive examples manage an estimated 11.5 L/100km city, 8.7 highway and 10.2 combined. 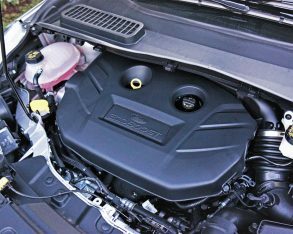 Of note, the updated Escape makes a new mid-range 1.5-litre turbocharged engine available that puts down a bit more power than its 1.6-litre predecessor while eking out even better mileage, the former at 179 horsepower and 177 lb-ft of torque and the latter at 10.2 L/100km city, 7.8 highway, 9.1 combined with FWD, or 10.7 city, 8.3 highway, and 9.6 combined, while the base FWD-only model’s 2.5-litre four-cylinder powerplant soldiers forward with a still respectable 168 horsepower and 170 lb-ft of torque and a hardly thirsty 11.1 L/100km city, 8.1 highway, 9.8 combined rating. 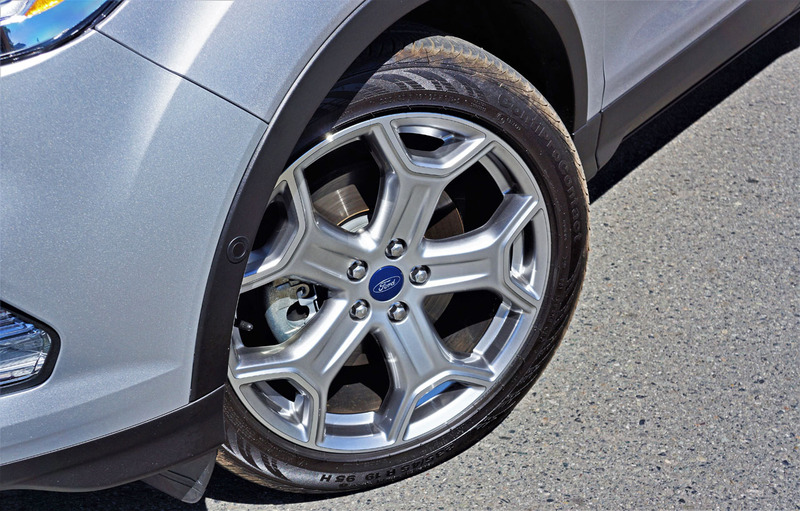 arm rear suspension delivers a wonderful combination of taut handling and composed comfort, even with its optional 19-inch machined-aluminum alloys on 235/45 Continental ContiProContact all-season rubber. 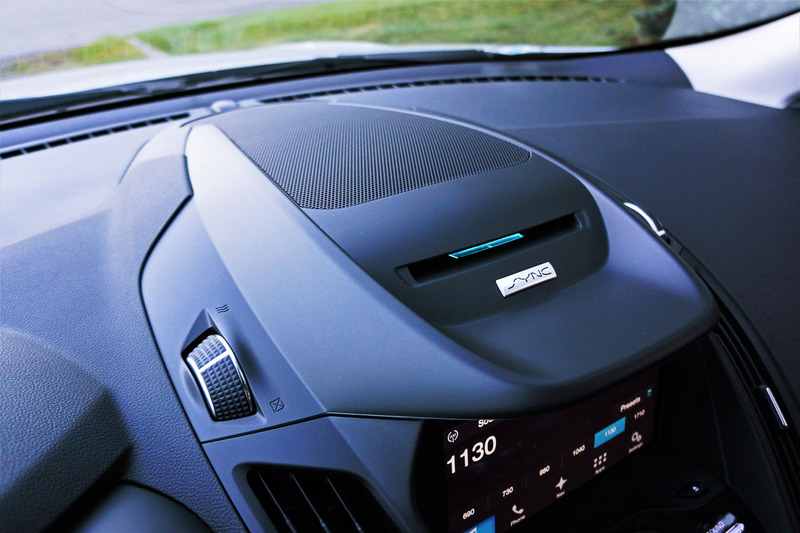 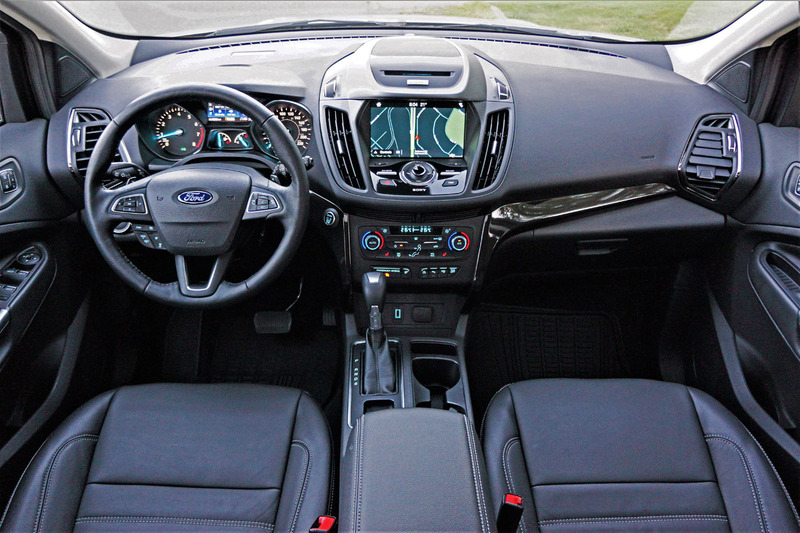 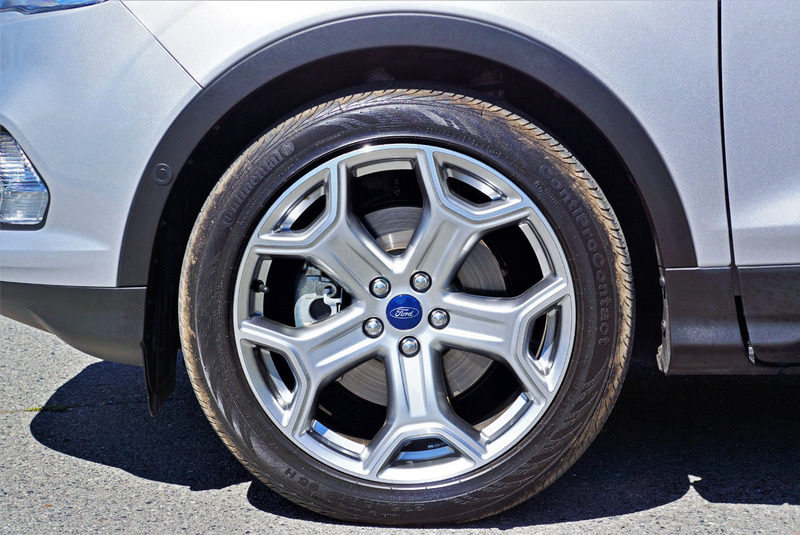 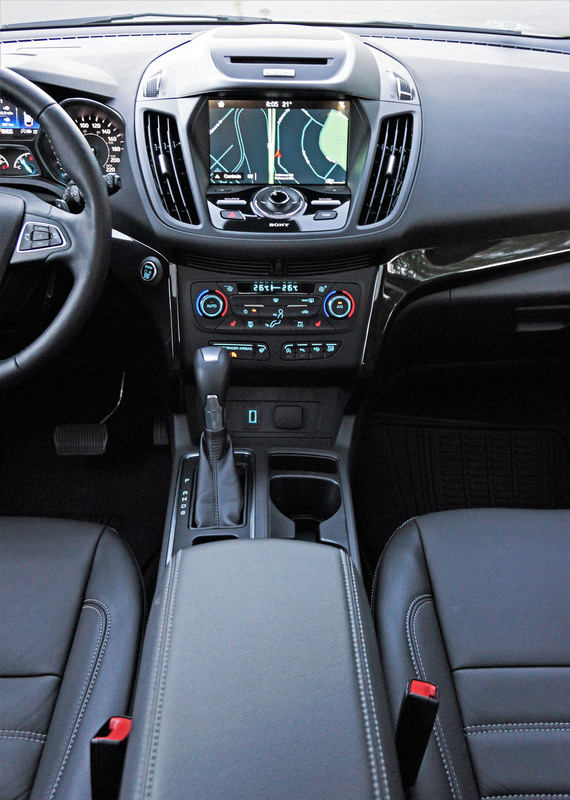 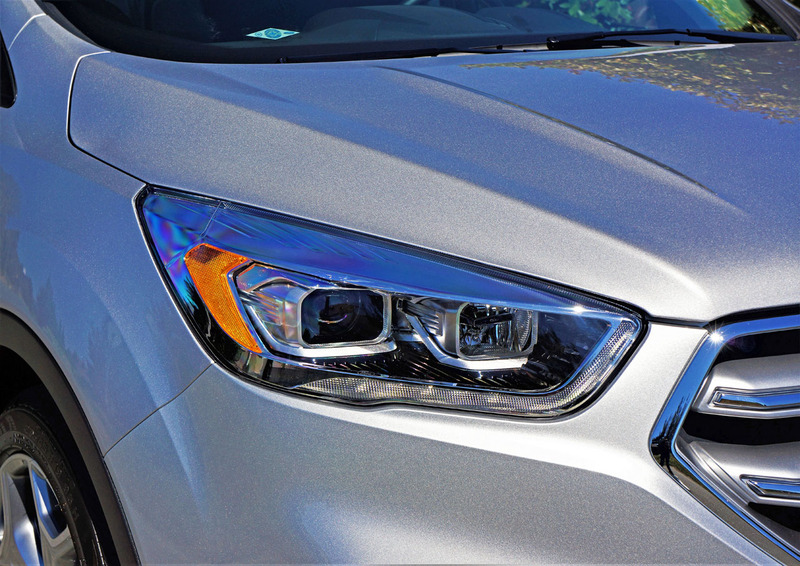 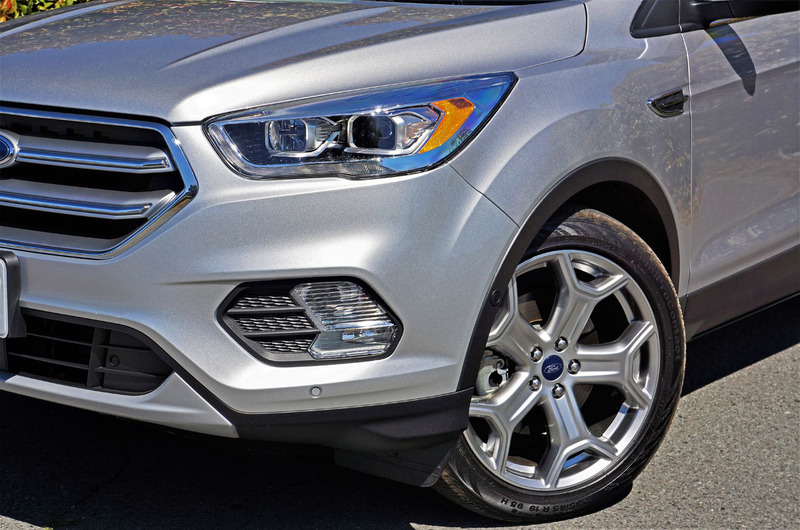 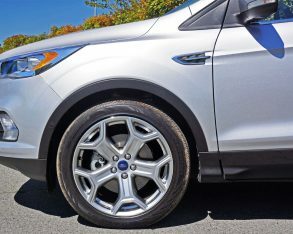 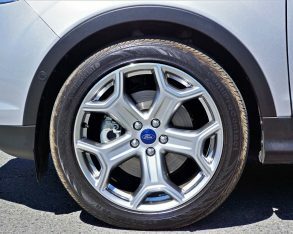 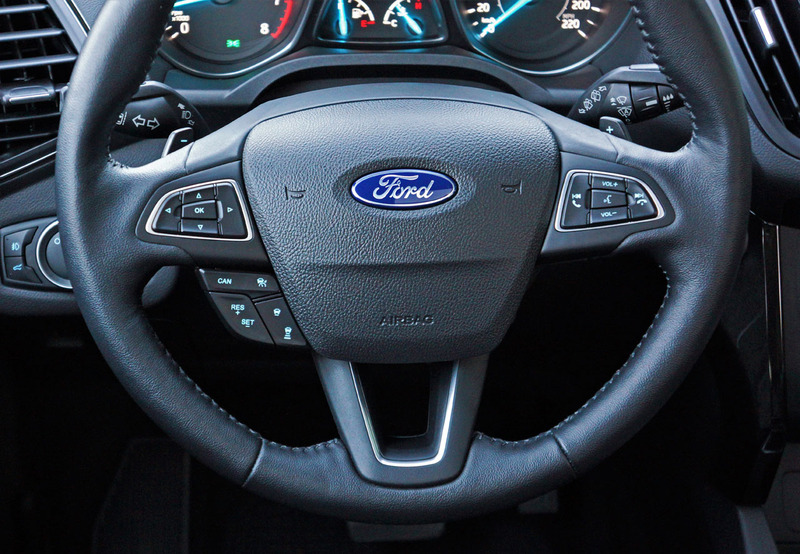 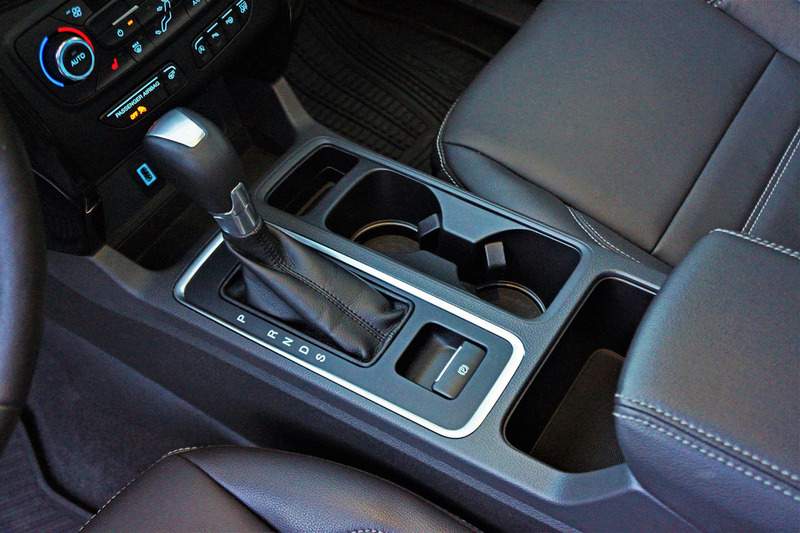 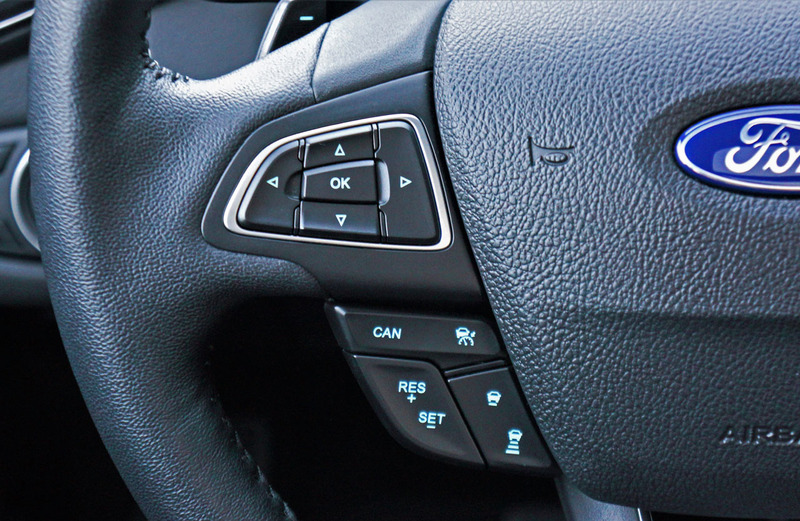 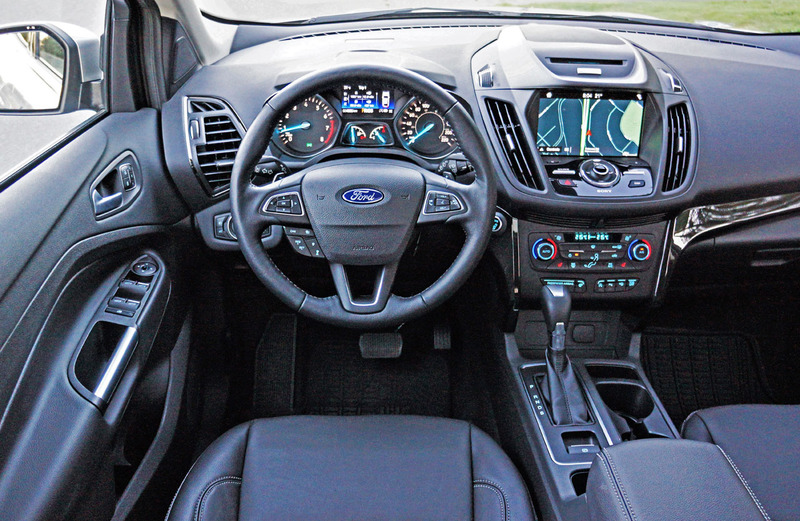 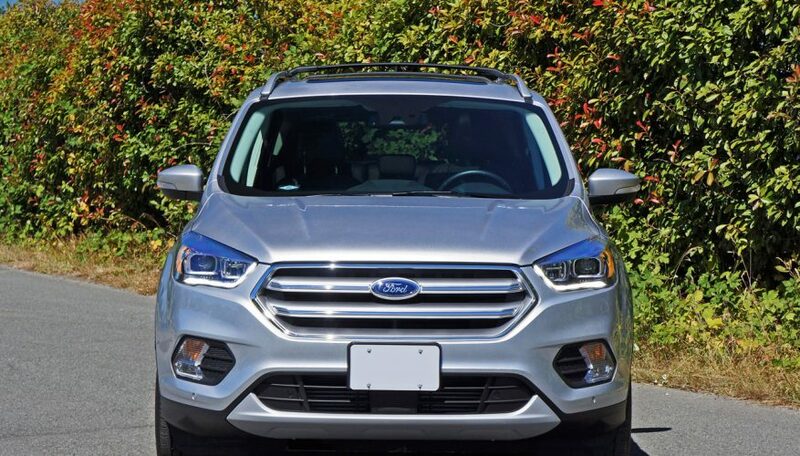 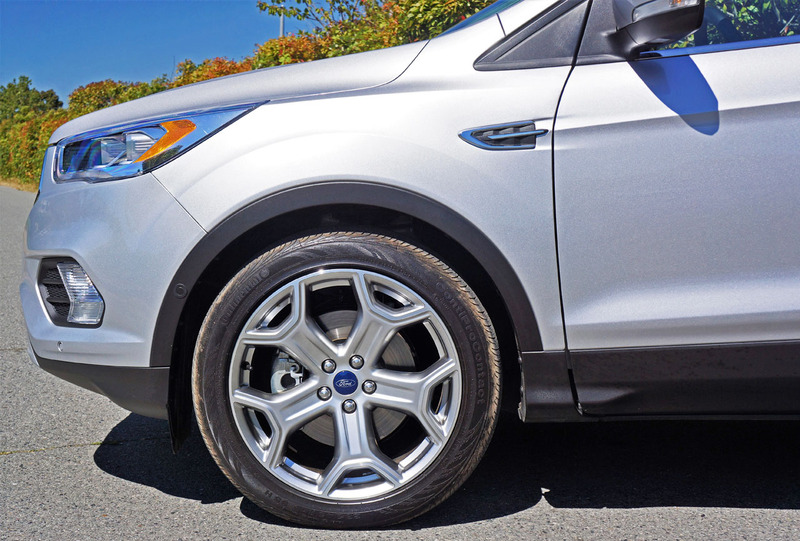 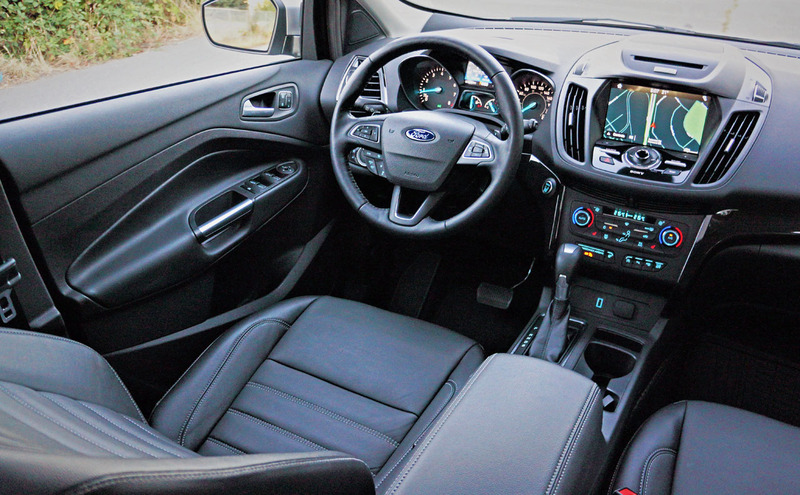 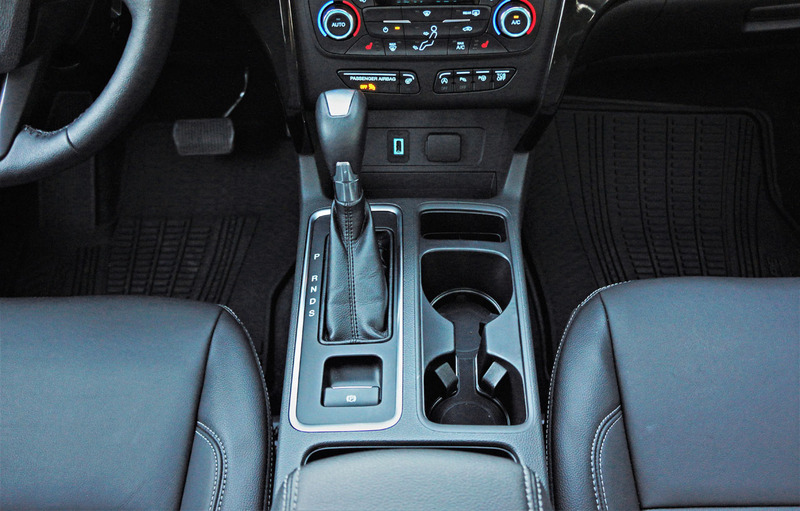 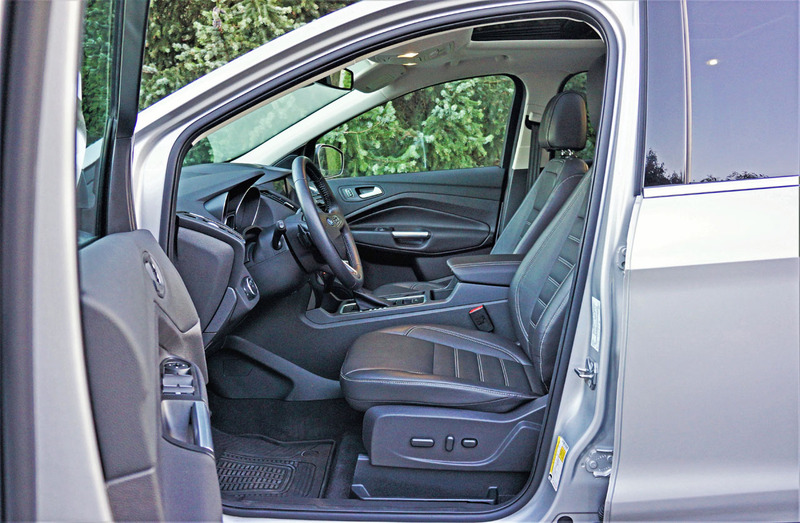 When pushing hard through some circuitous rural backroads near my suburban home the Escape Titanium AWD held its lane confidently, Ford even providing steering wheel paddles to maximize driver engagement. 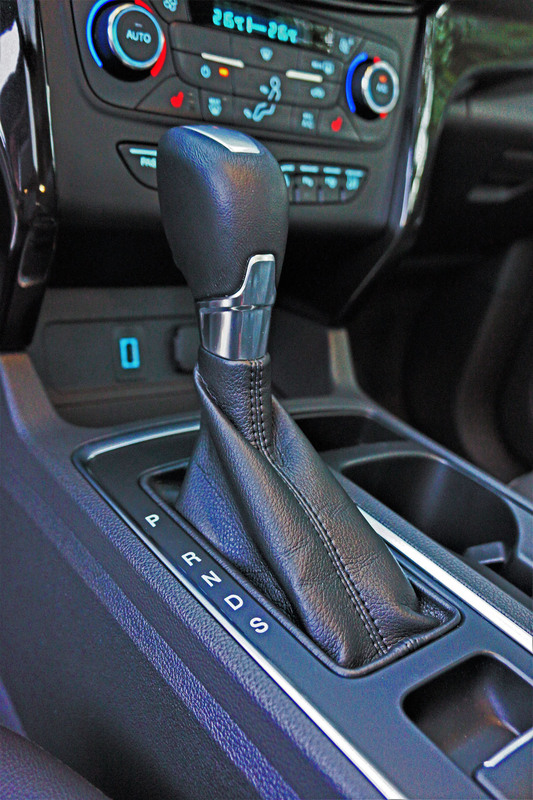 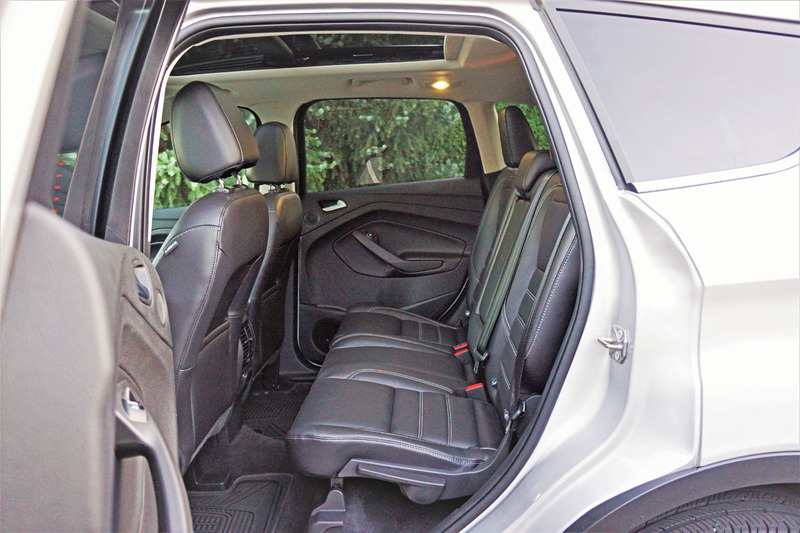 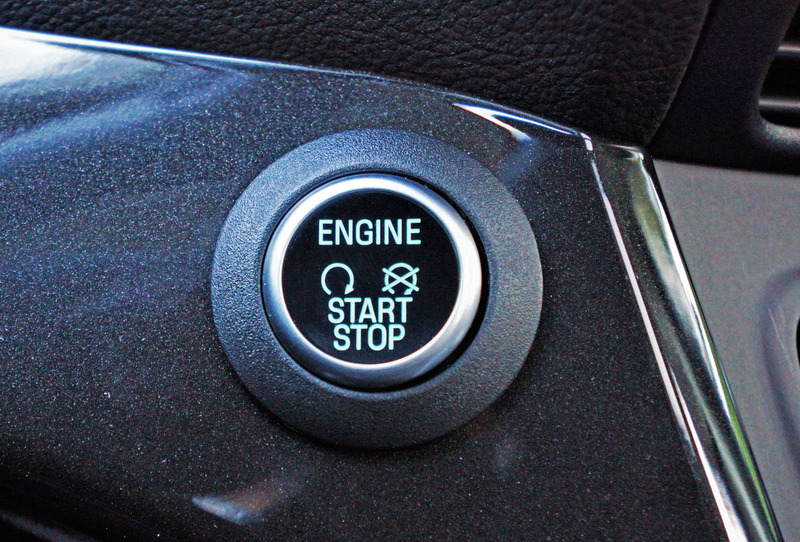 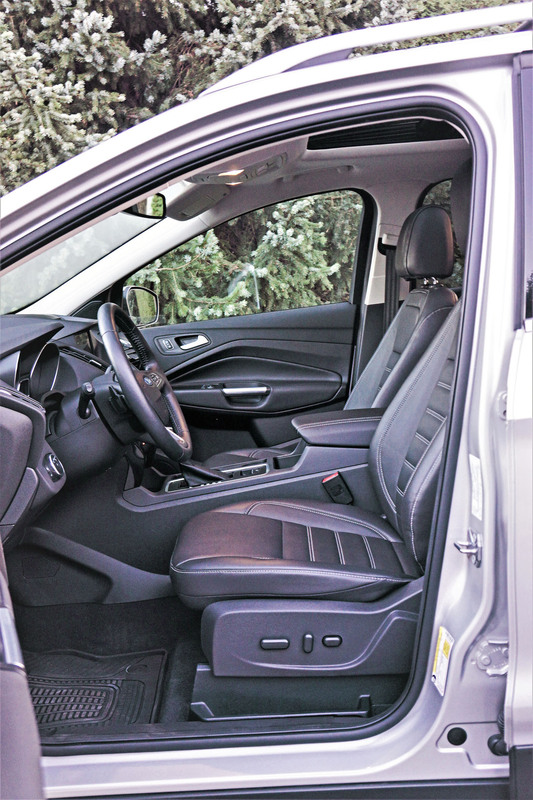 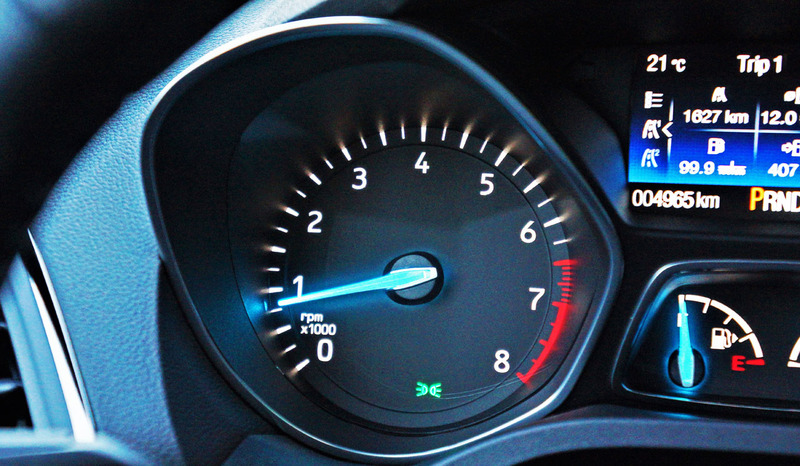 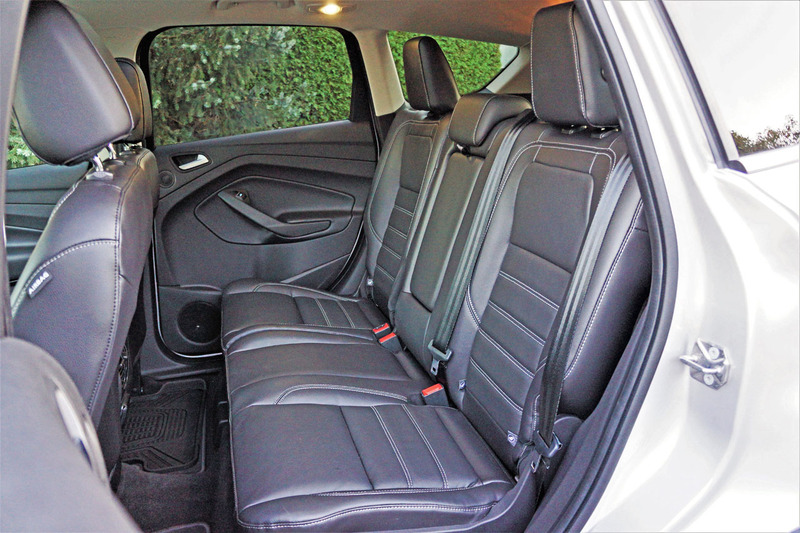 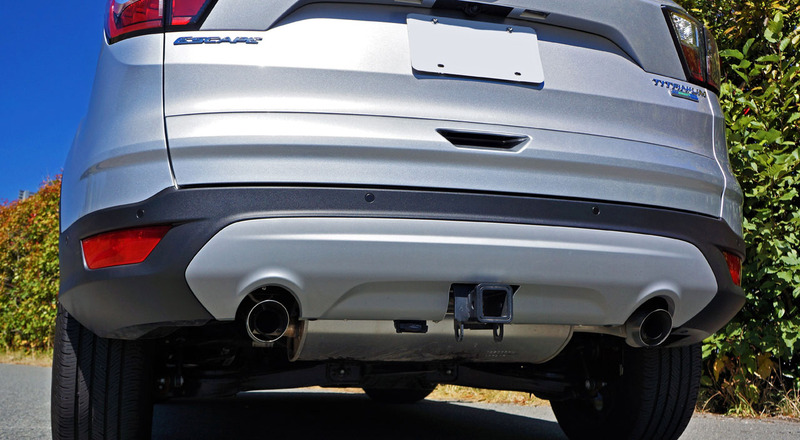 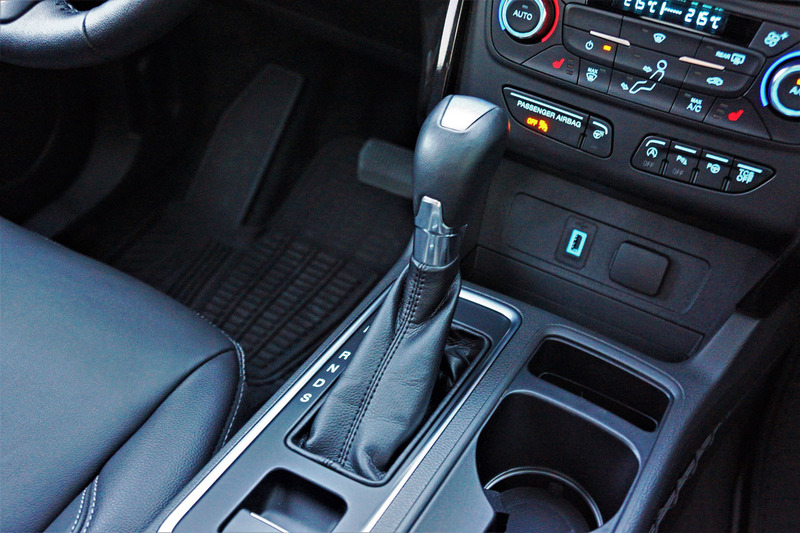 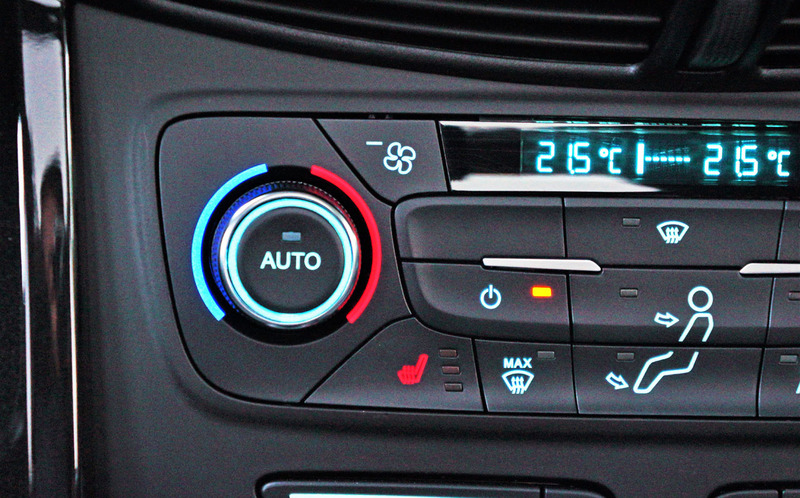 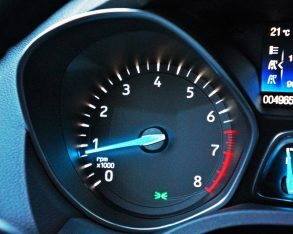 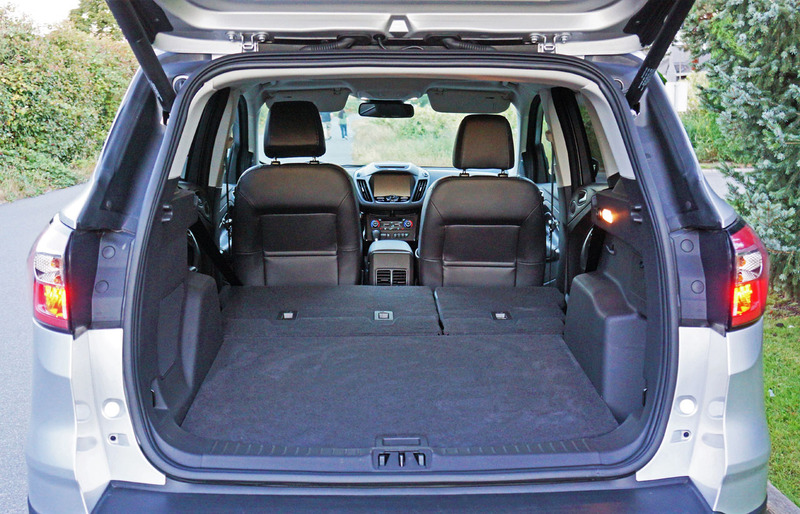 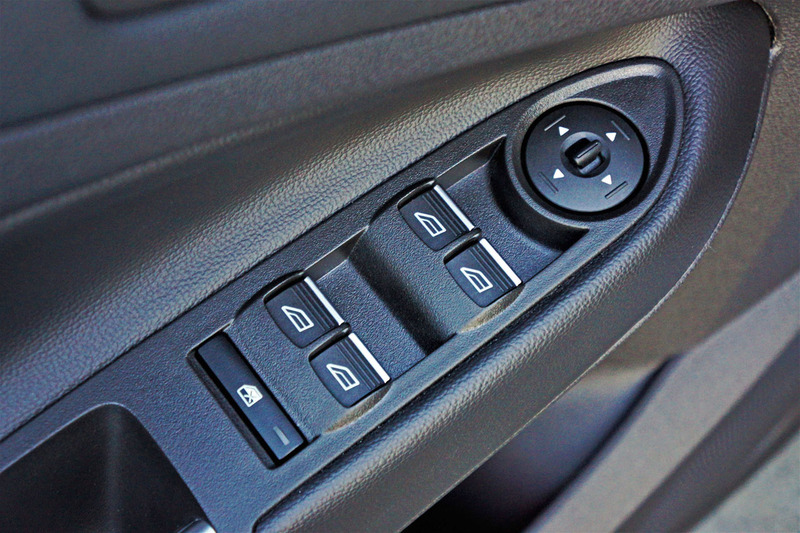 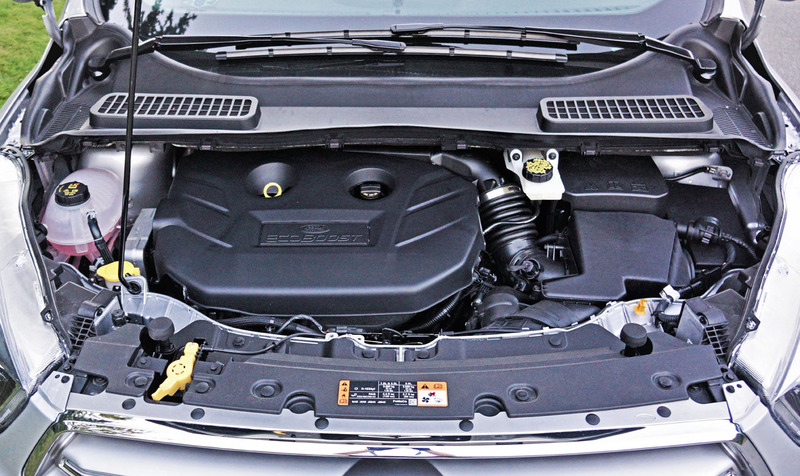 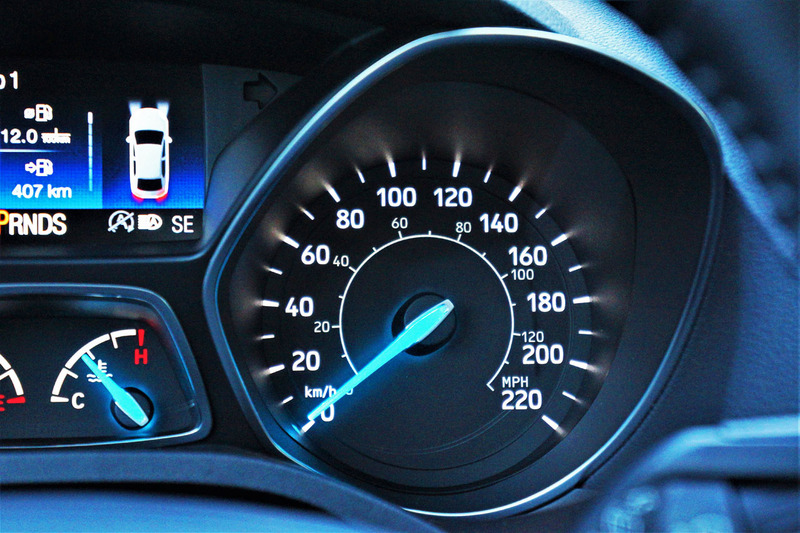 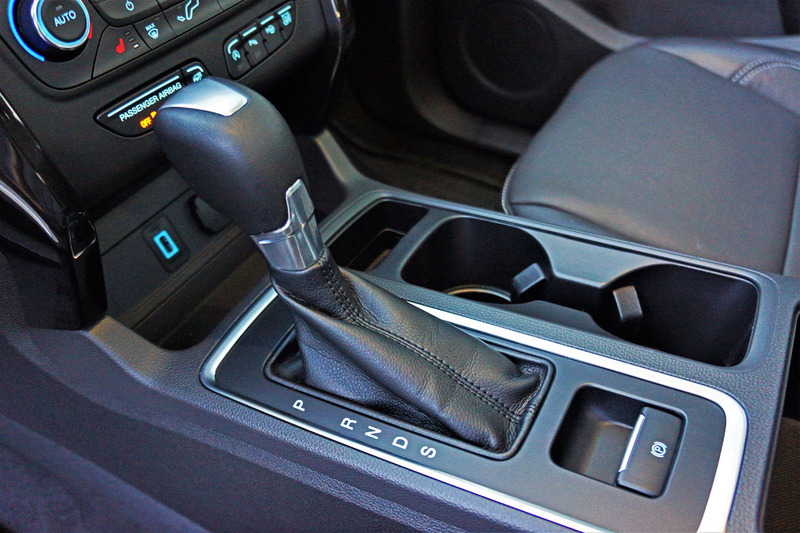 I was therefore able to keep engine revs in their sweet spot by holding a given gear, ideal for powering out of corners, downshifting ahead of sharp curves, and generally making the most of the little SUV’s available performance. 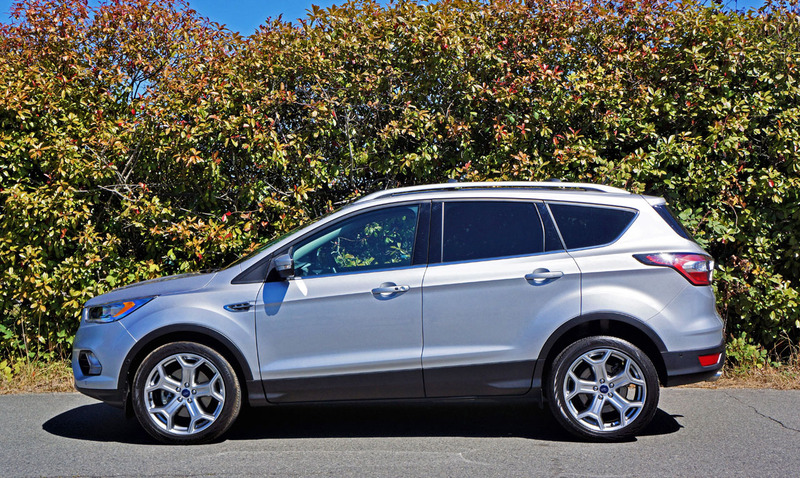 Try that with one of its CVT-equipped rivals and you’ll be underwhelmed. 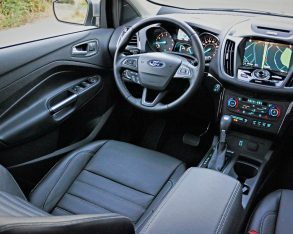 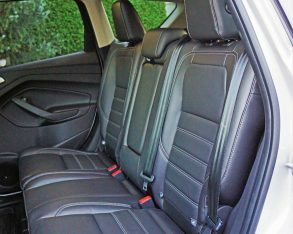 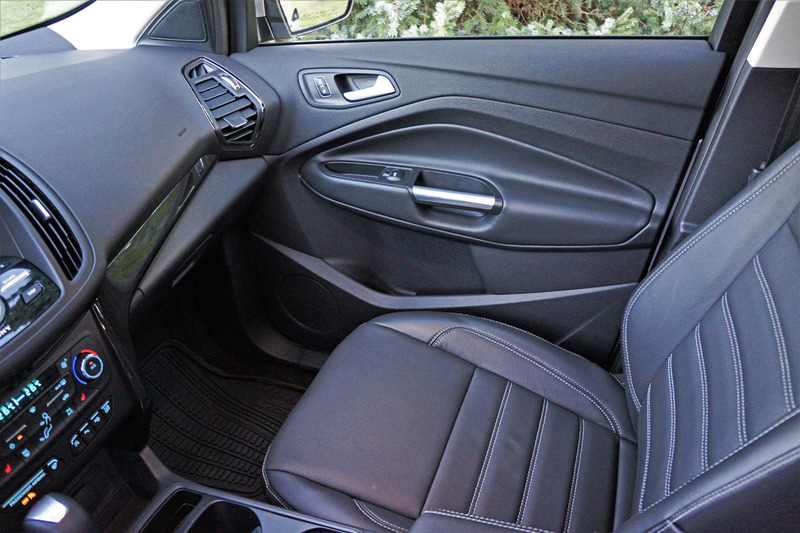 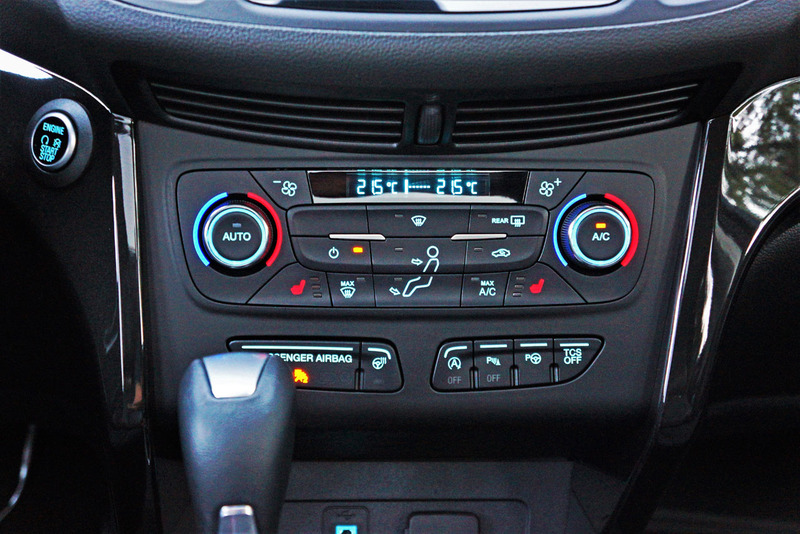 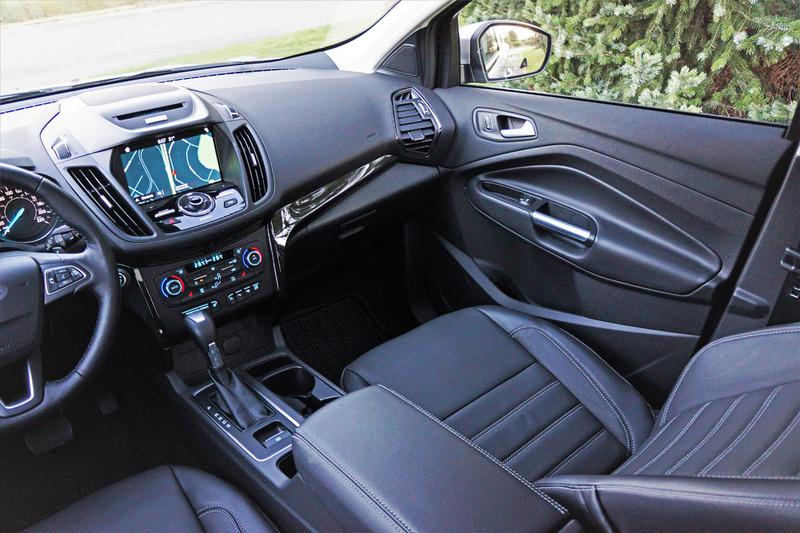 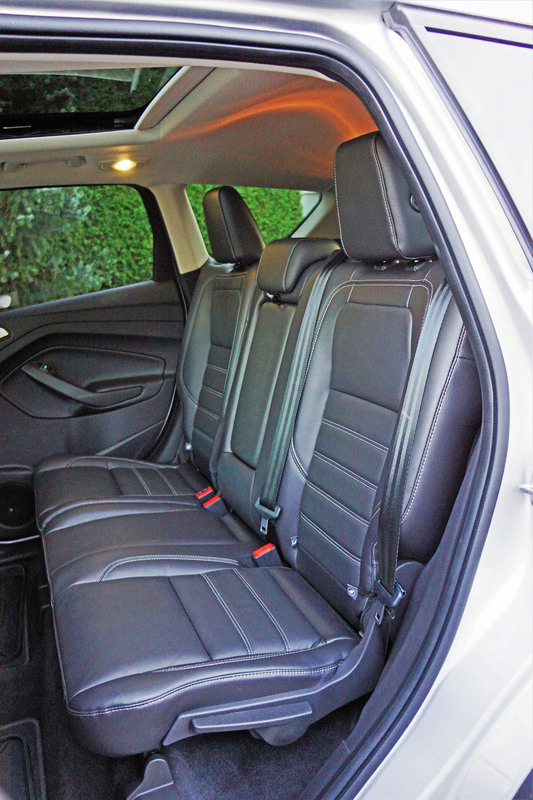 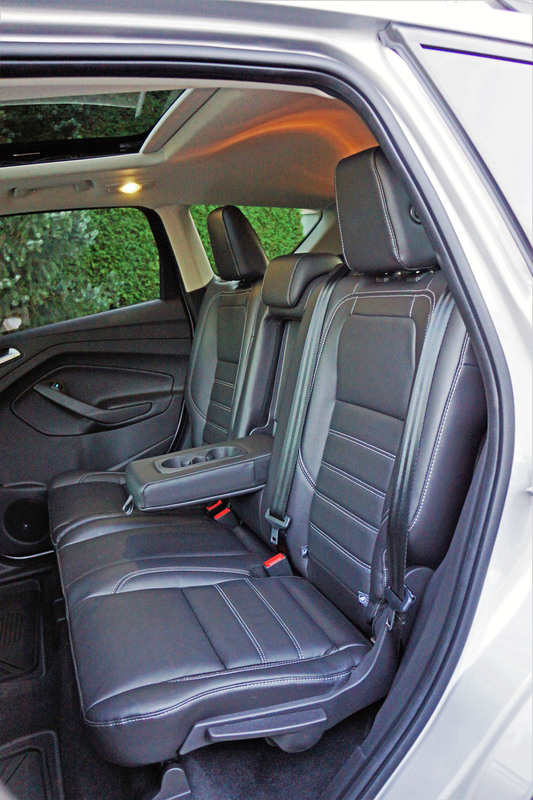 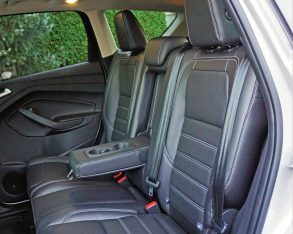 grippy as cloth (or the optional partial leather and fabric sport seats), but ample side bolstering kept our backsides from sliding around and the three-way heaters made sure we were warm from the inside out. 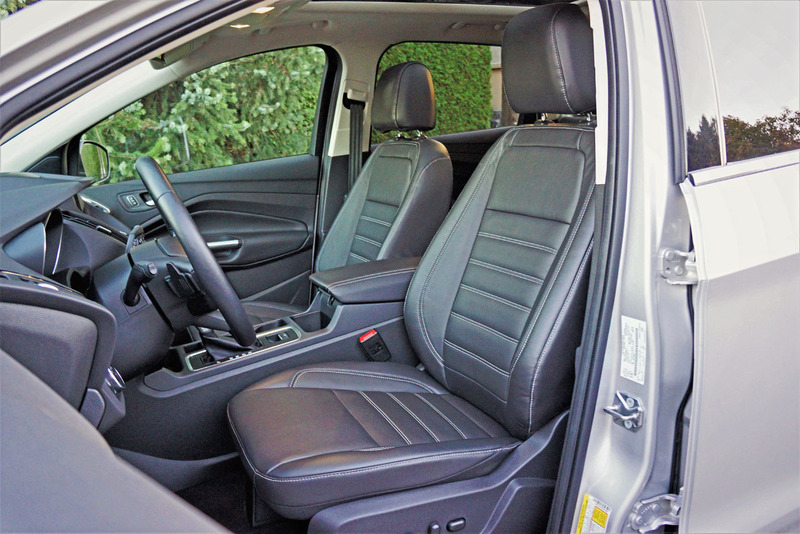 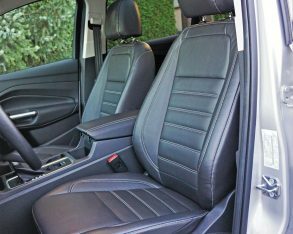 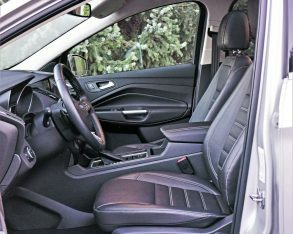 The Titanium’s tilt and telescopic leather-wrapped multifunction steering wheel is heatable too, while those seats also include memory, as do the side mirrors that are power-adjustable, heatable, and feature integrated turn signals and puddle lamps. 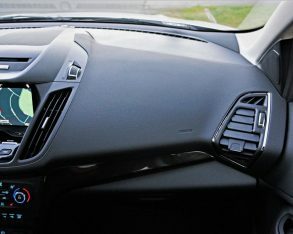 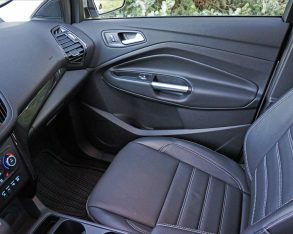 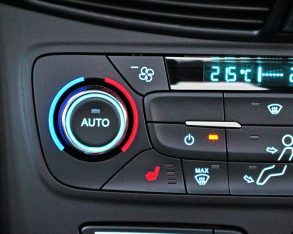 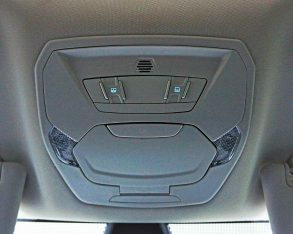 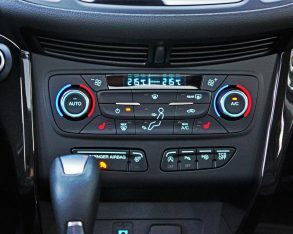 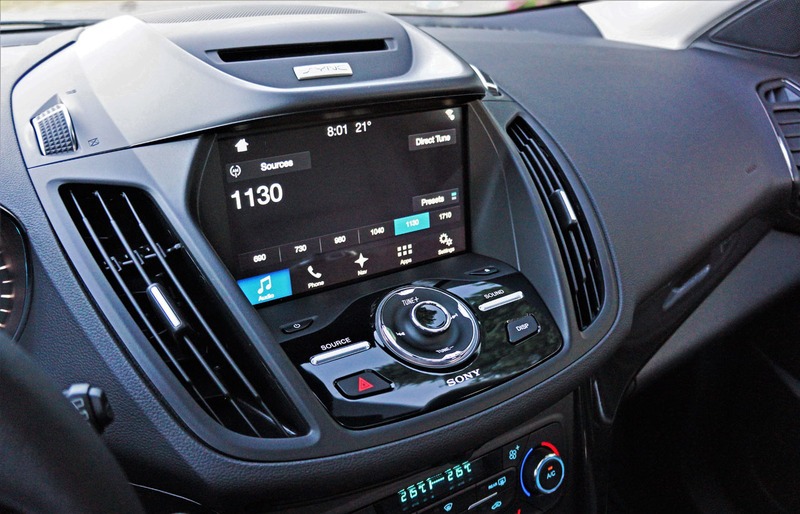 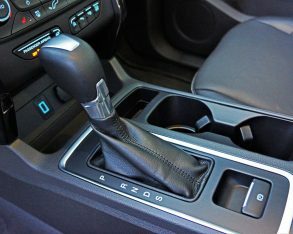 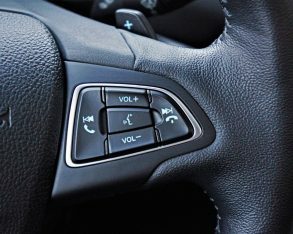 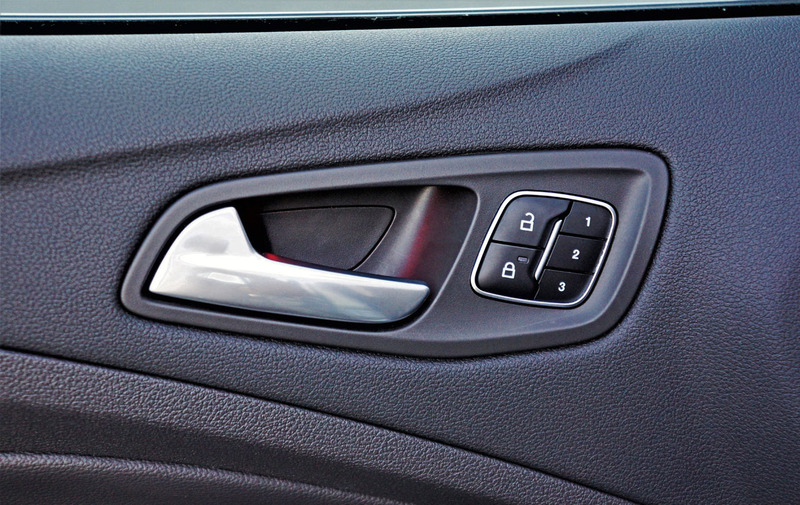 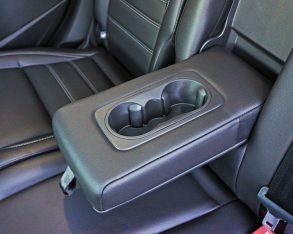 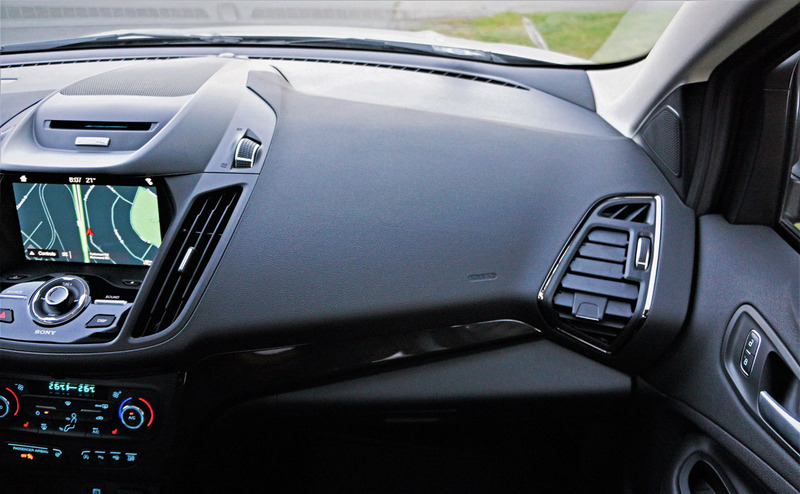 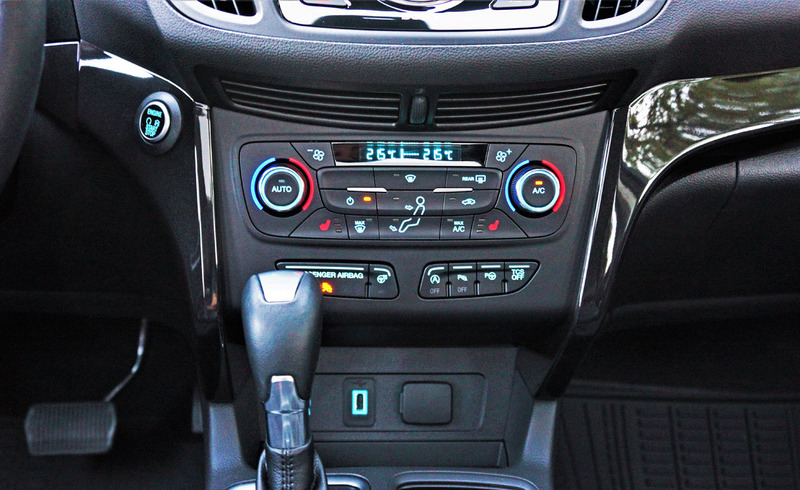 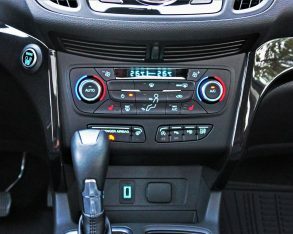 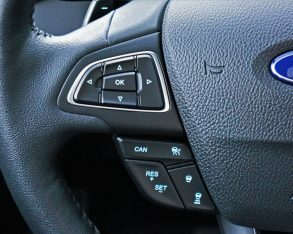 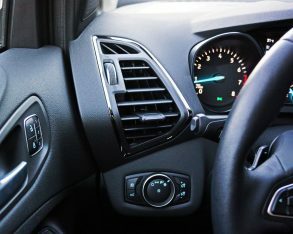 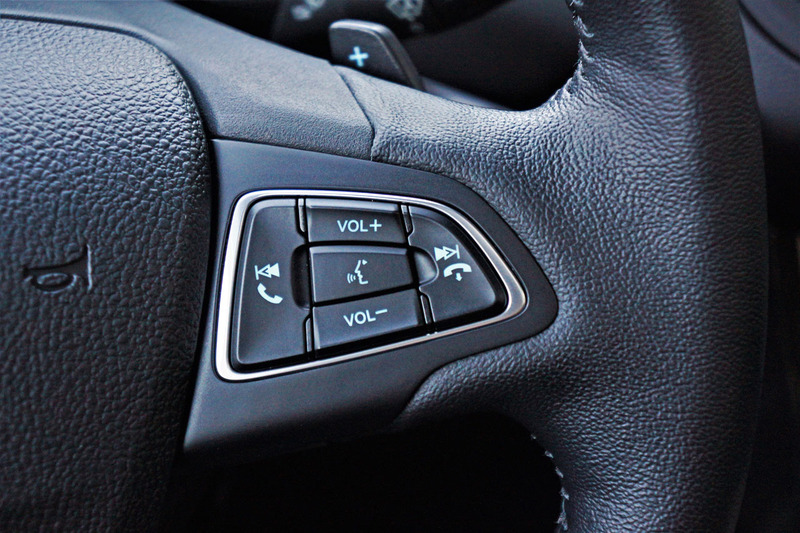 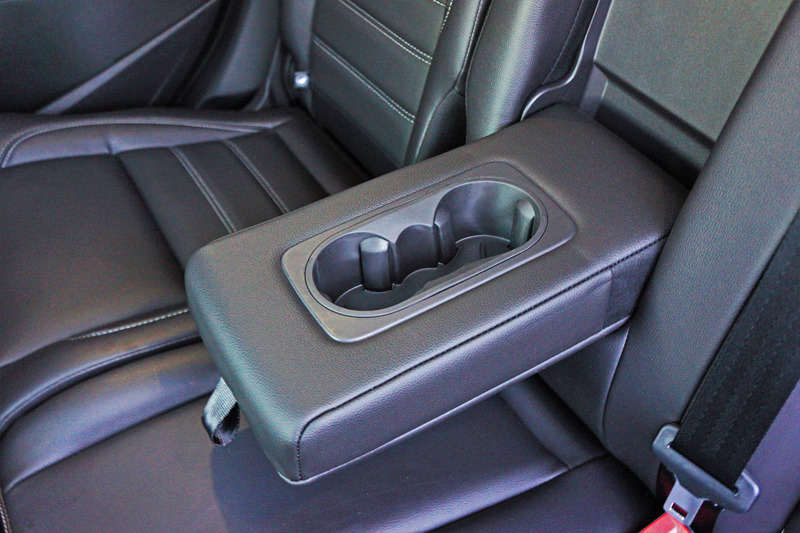 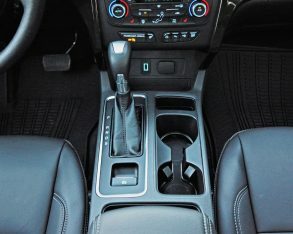 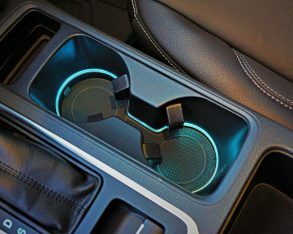 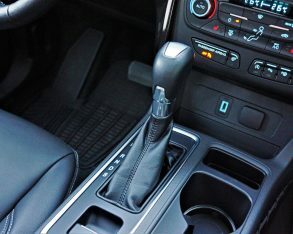 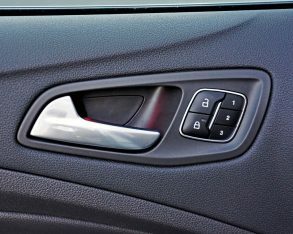 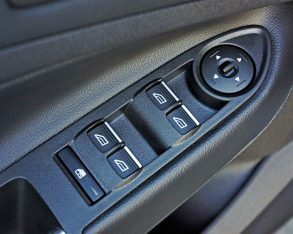 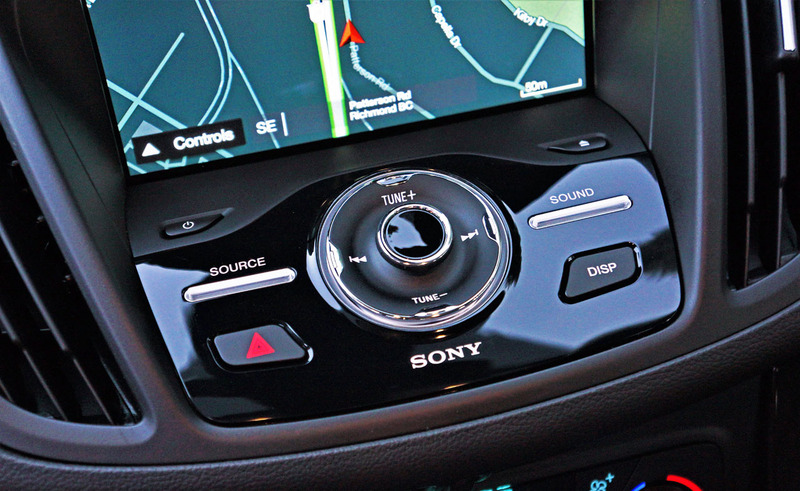 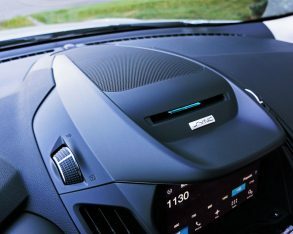 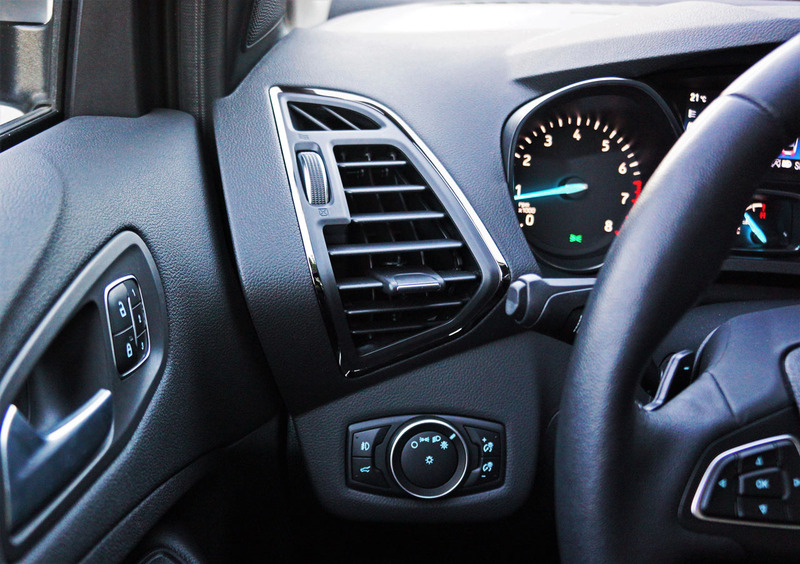 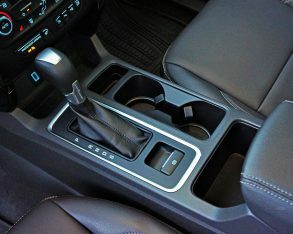 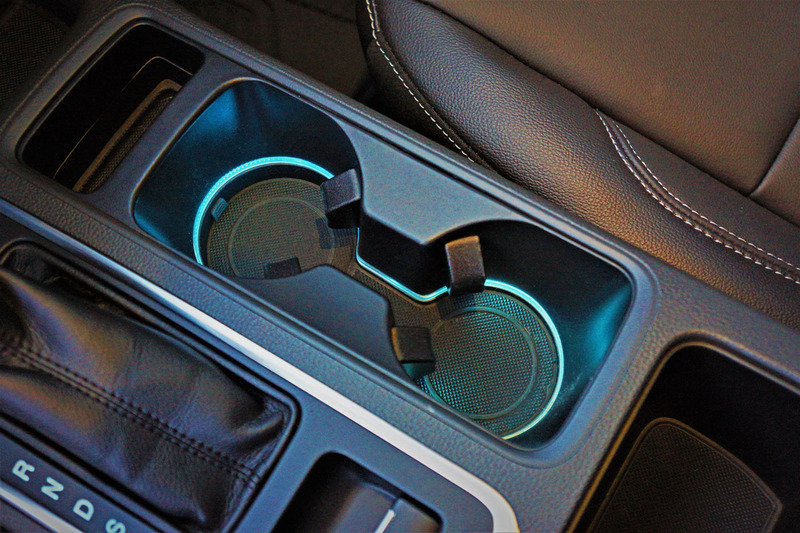 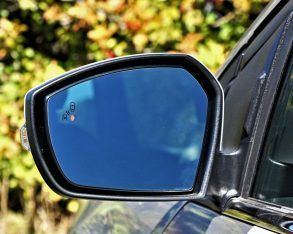 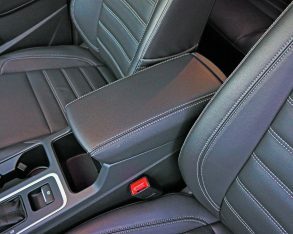 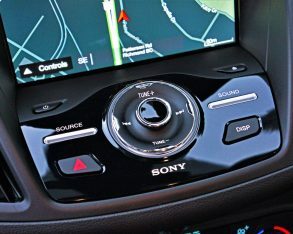 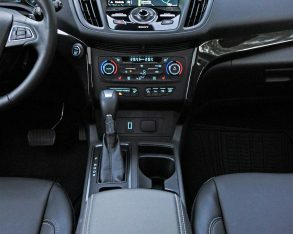 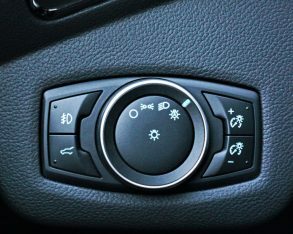 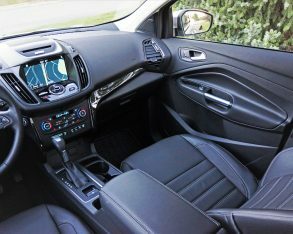 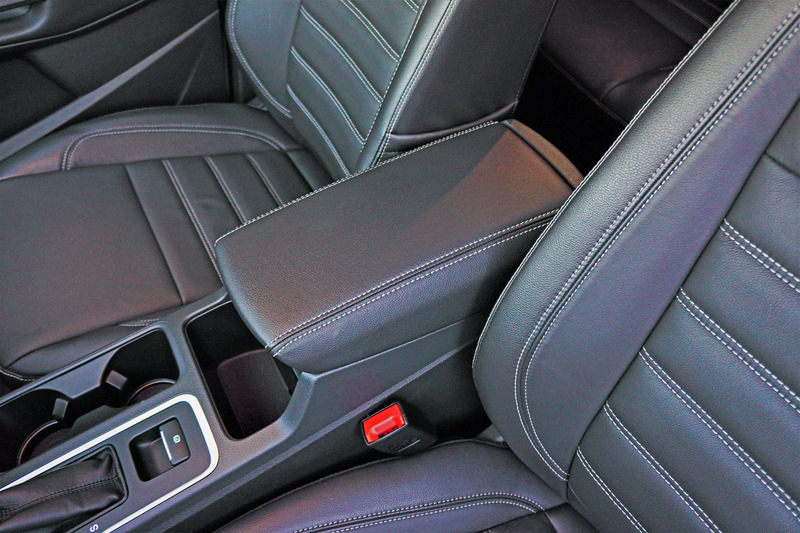 a leather-wrapped shift knob, an auto-dimming rearview mirror, Sync 3 infotainment with Sync Connect (that lets you check fuel the level, unlock the doors, or start the Escape’s engine remotely from your smartphone), great sounding 10-speaker Sony audio, a 110-volt household-style power outlet (replaces the 12-volt rear power point), a retractable cargo cover, rear parking sensors, and blindspot monitoring with rear cross-traffic alert, all for $33,799. 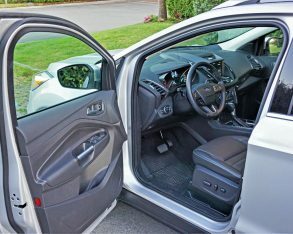 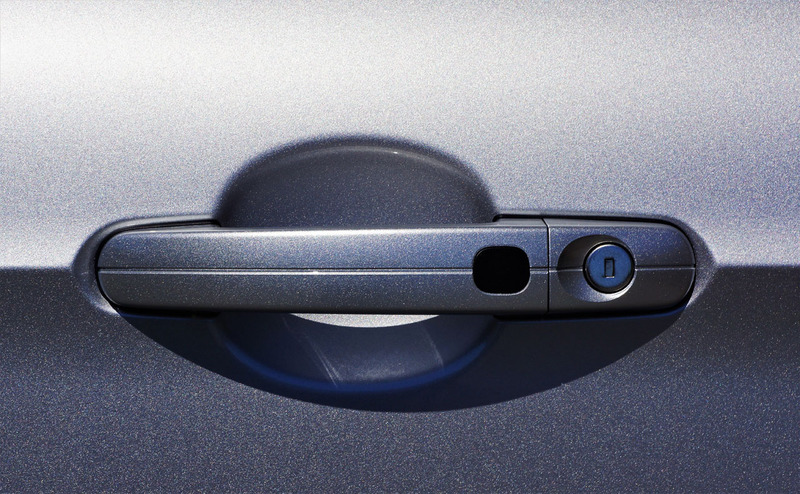 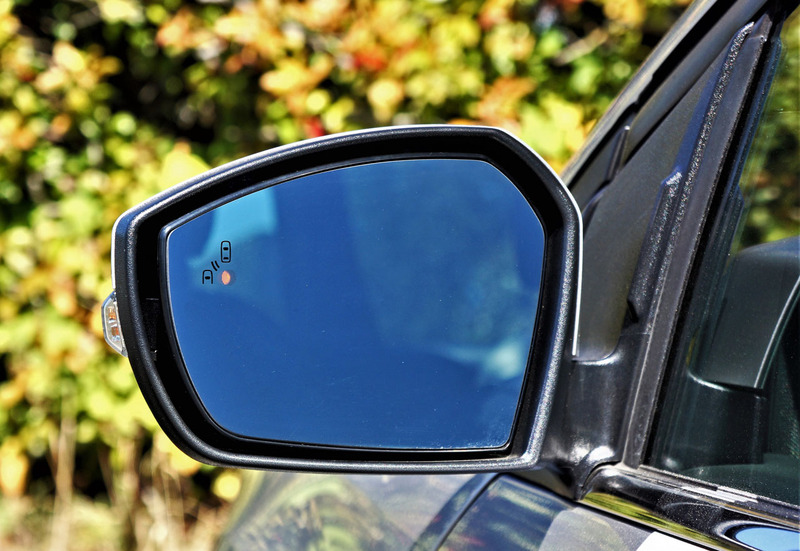 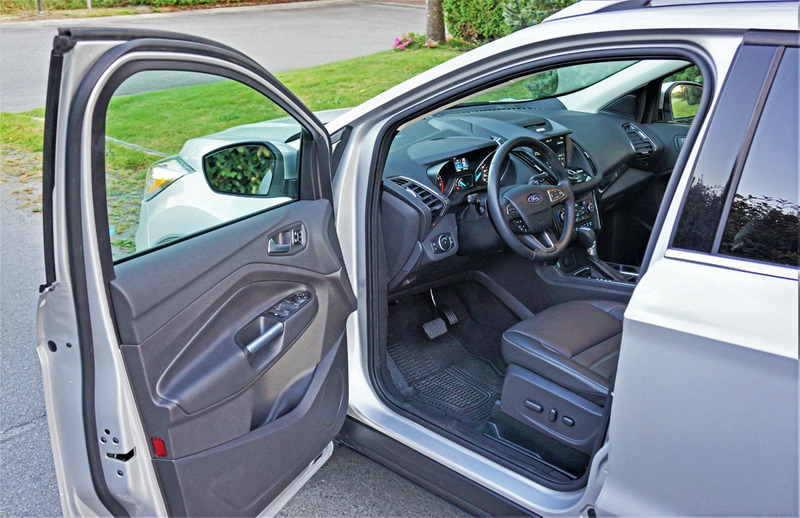 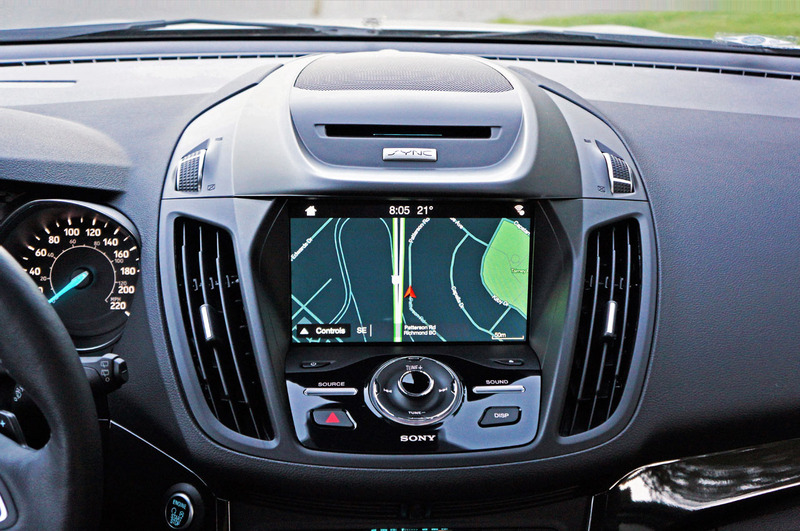 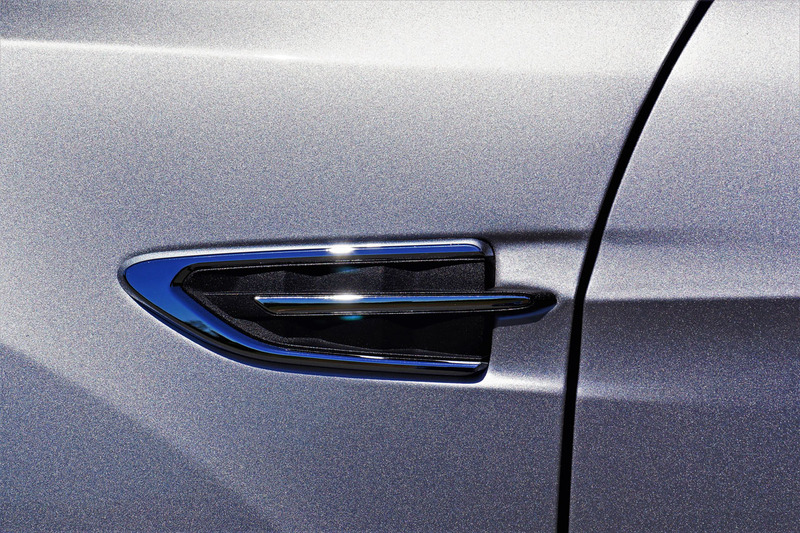 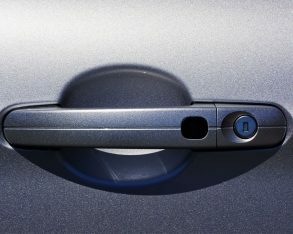 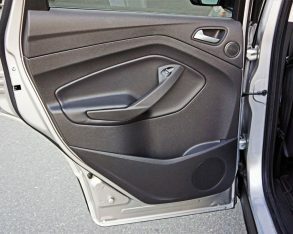 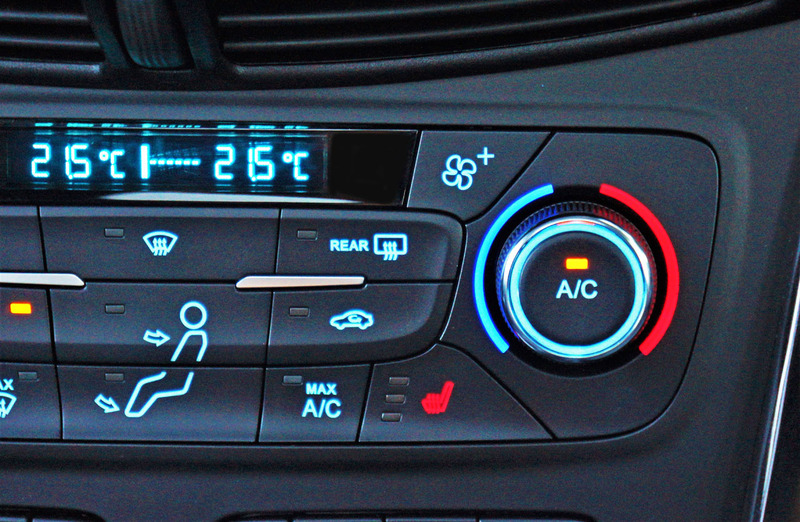 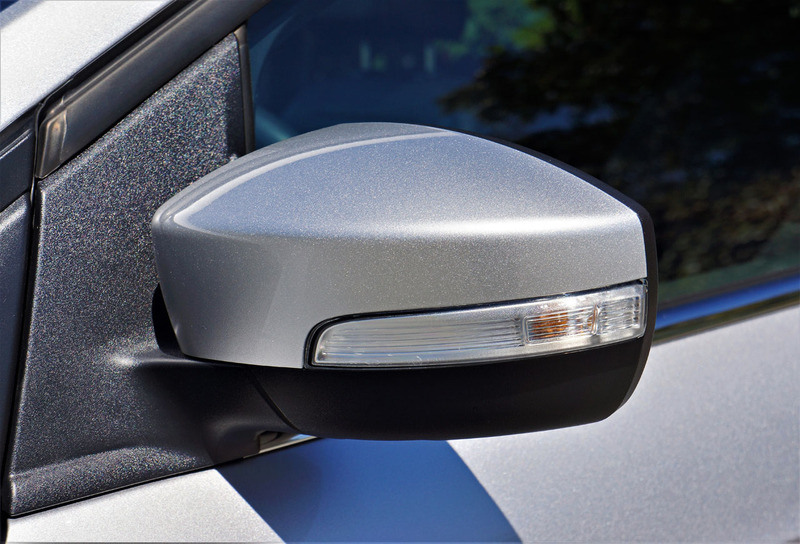 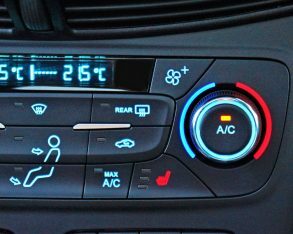 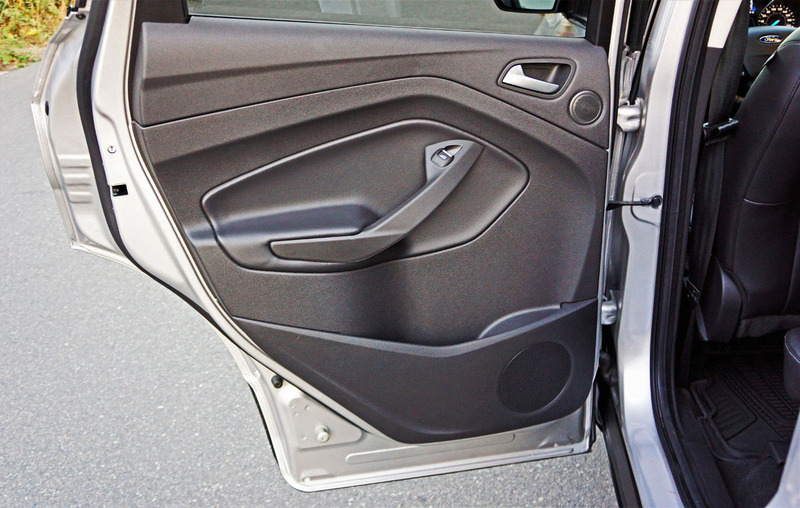 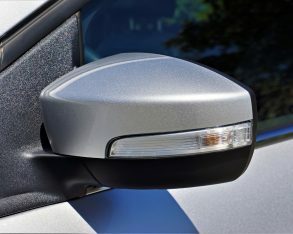 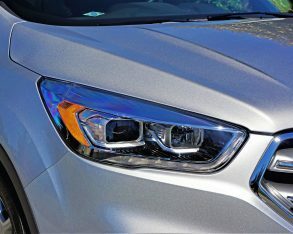 while the $25,099 base S model adds auto on/off headlamps, daytime running lights, variable intermittent wipers, a windshield wiper de-icer, integrated blindspot mirrors, a rearview parking monitor (although the Titanium’s is bigger), rear privacy glass, dual chromed exhaust, a colour multi-info display, Sync phone connectivity, torque vectoring control, traction control, AdvanceTrac with Roll Stability Control, a full load of passive safety features including a driver’s knee airbag, SOS Post-Crash Alert, MyKey (to protect teens from themselves and the Escape from valets), and plenty more. 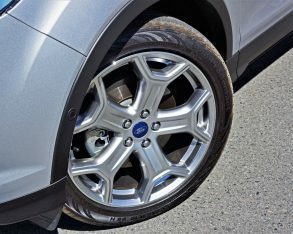 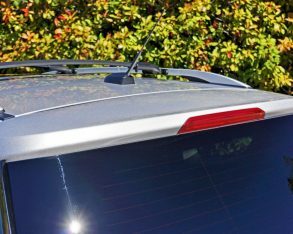 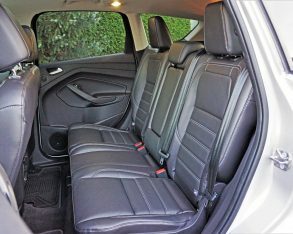 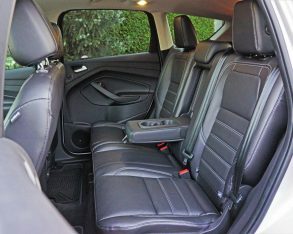 potentially available with seven alternative colours, Ruby Red adding $450 to the bottom line and White Platinum $550, whereas four-wheel drive adds $2,200, and those 19-inch alloys pushed the price up by a very reasonable $650. 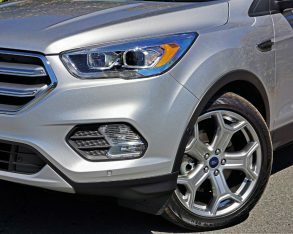 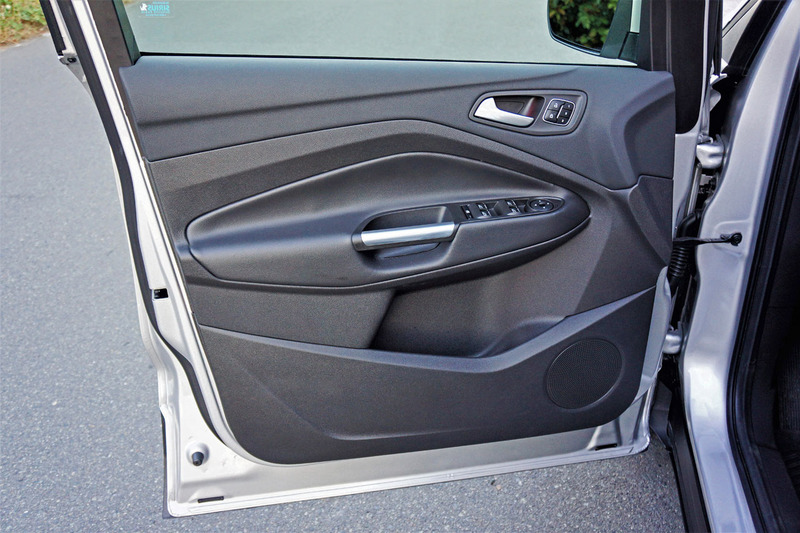 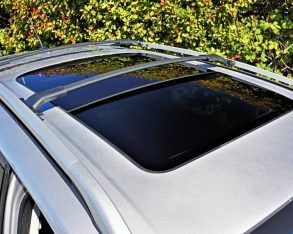 Alternatively you can get a set of Ebony Black 19-inch rims as part of a $1,200 Titanium Sport Appearance Package that also includes the grille surround and insert, front and rear skid plates, headlamp and taillight bezels, front fender garnish, mirror caps, beltline moulding, and roof rails painted in glossy black, plus those partial leather sport seats mentioned earlier. 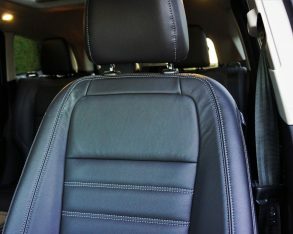 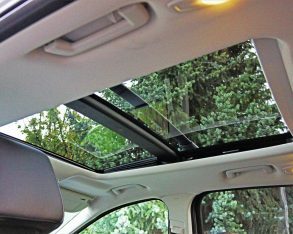 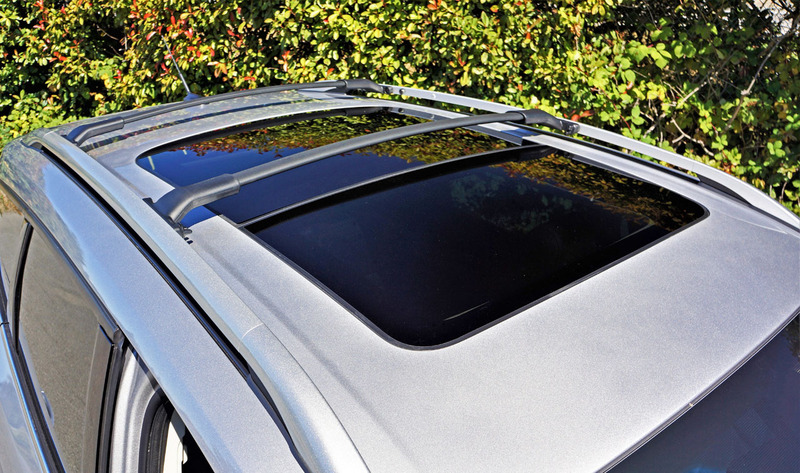 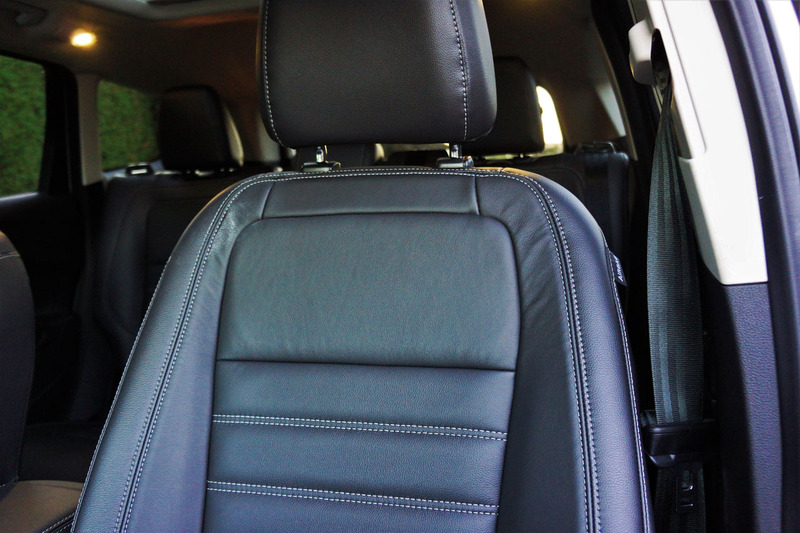 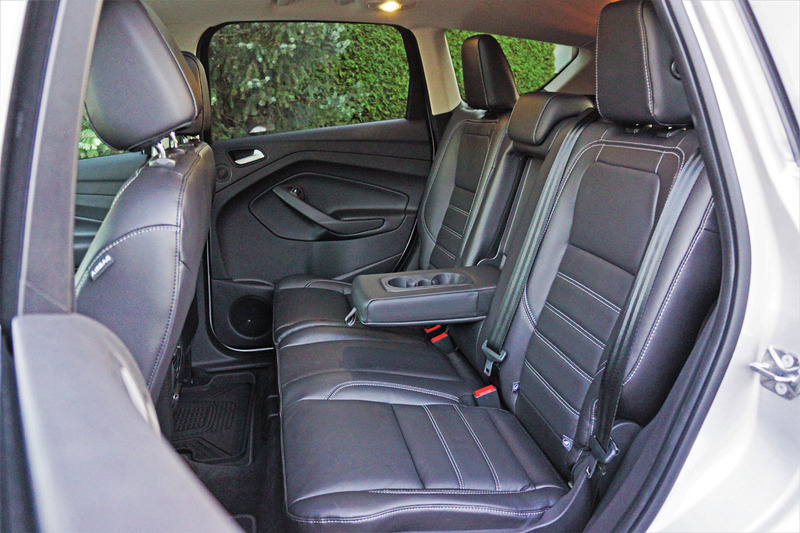 mats kept its carpets clean, a fabulous twin panel panoramic glass sunroof made everything open and airy for $1,750, extremely accurate navigation made sure we got where we wanted to go for just $800. 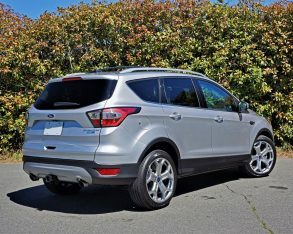 Tech in mind, another upgrade I really appreciated was the $1,750 Titanium Technology Package (301A) that includes auto high beams for its upgraded HID headlamps, rain-sensing wipers, forward and side sensing, lane keeping assist with driver alert, and updated semi-autonomous self-parking capable of steering the Escape into perpendicular slots as well as parallel spots. 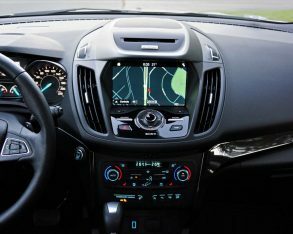 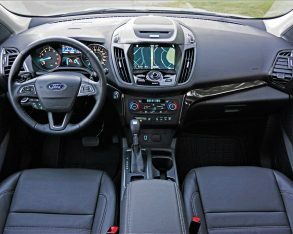 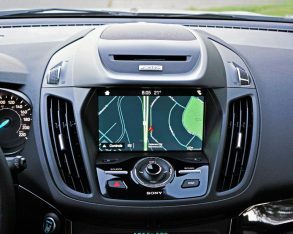 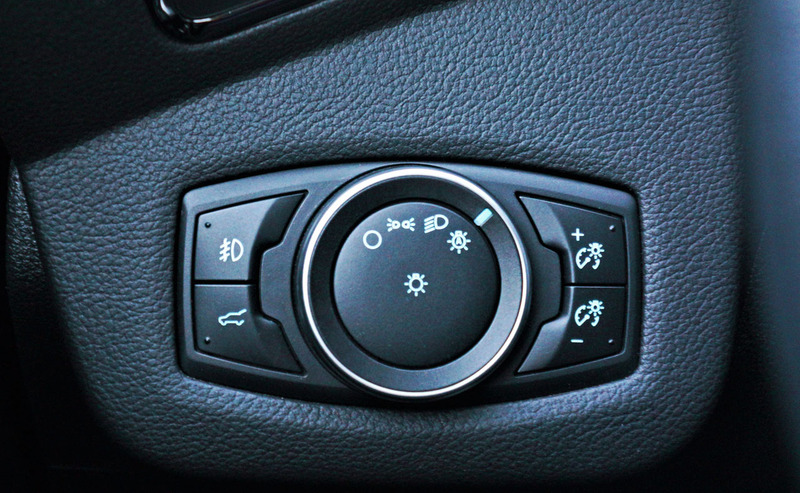 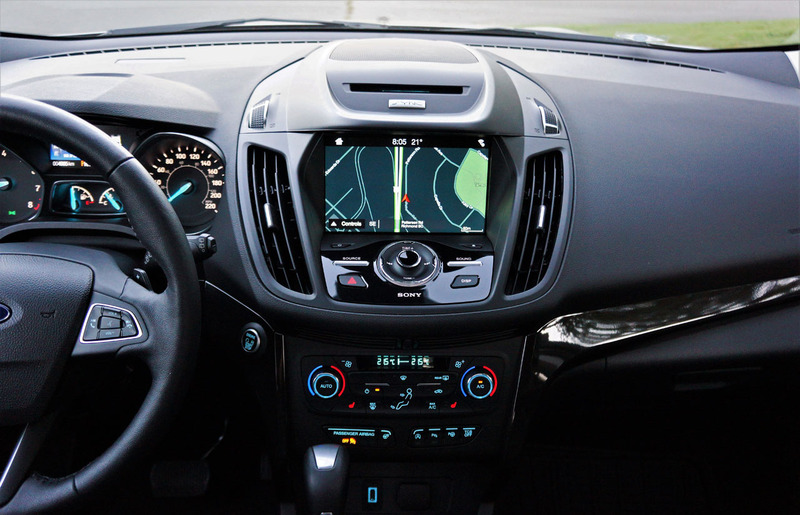 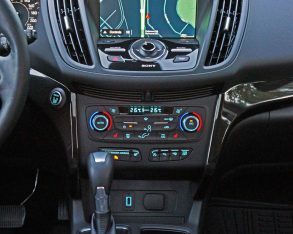 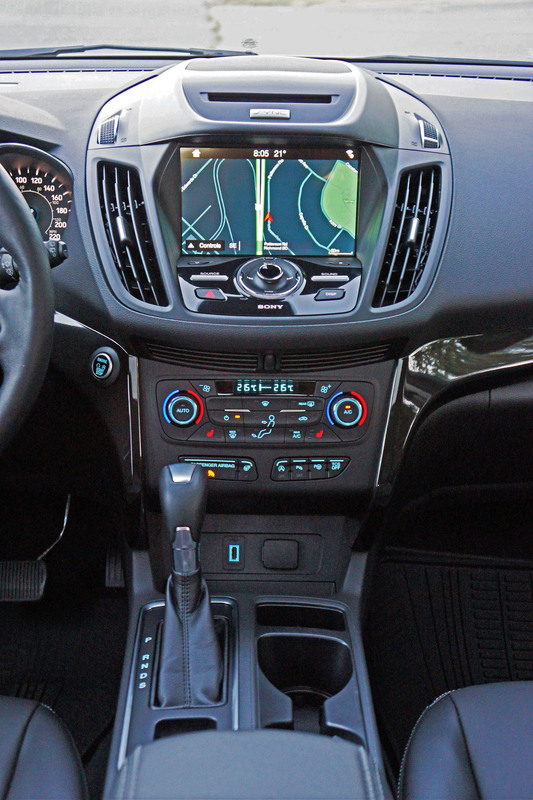 Additionally, the Escape’s steering wheel wasn’t updated just for style, but now includes the option of adaptive cruise control switchgear, a $1,350 system that also includes autonomous forward collision mitigation. 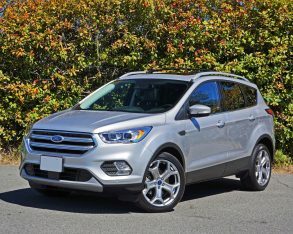 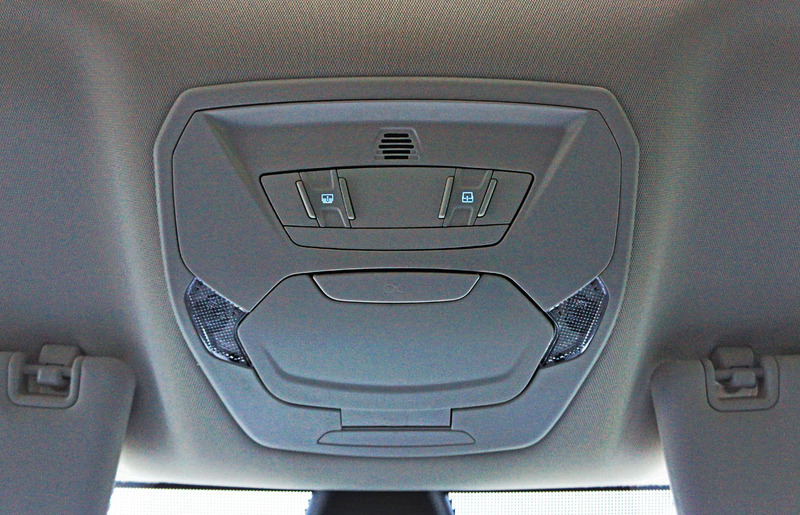 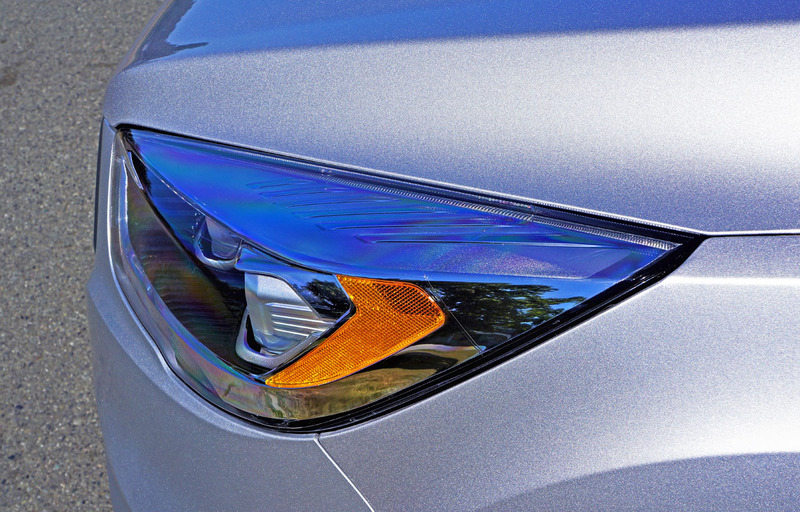 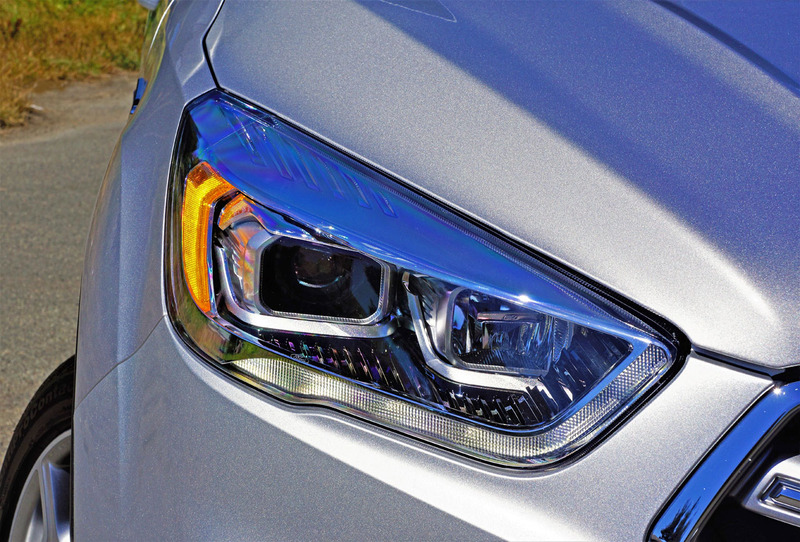 this near loaded 2017 Escape included more advanced headlamps (many of its peers include full LEDs with cornering capability) and managed slightly better small overlap front crash protection (it gets an Acceptable score instead of Good) it would likely earn an IIHS Top Safety Pick rating, but as it is it gets top Good marks in all other crash tests and the NHTSA gives it five stars in its overall safety rating system. 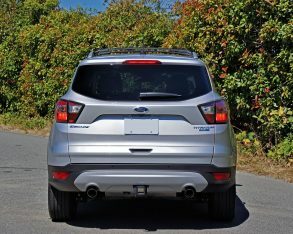 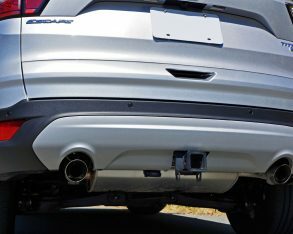 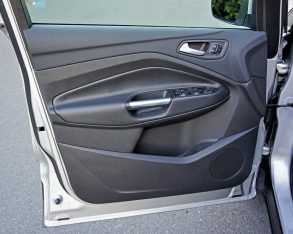 as easily as the latter model’s due to no rear levers integrated into the cargo compartment sidewalls (you need to walk around to the side doors to lay them down), but even base 2.5- and 1.5-litre turbo Escapes perform similarly to these competitors when they’re full optioned out, while there are many other attributes that make the Escape stand out above its peers as well. 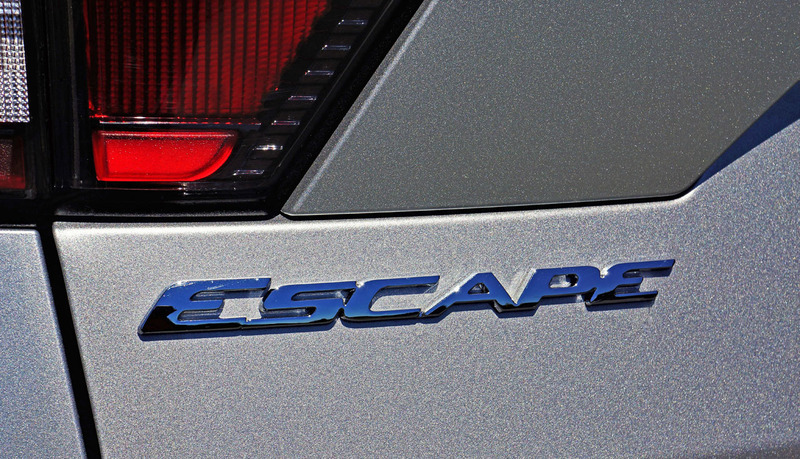 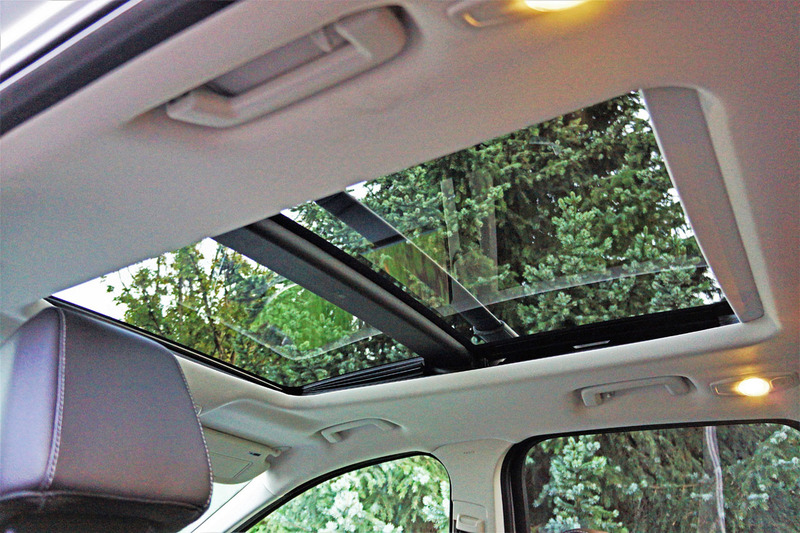 In the end, the Escape wouldn’t sell so well if it didn’t measure up. 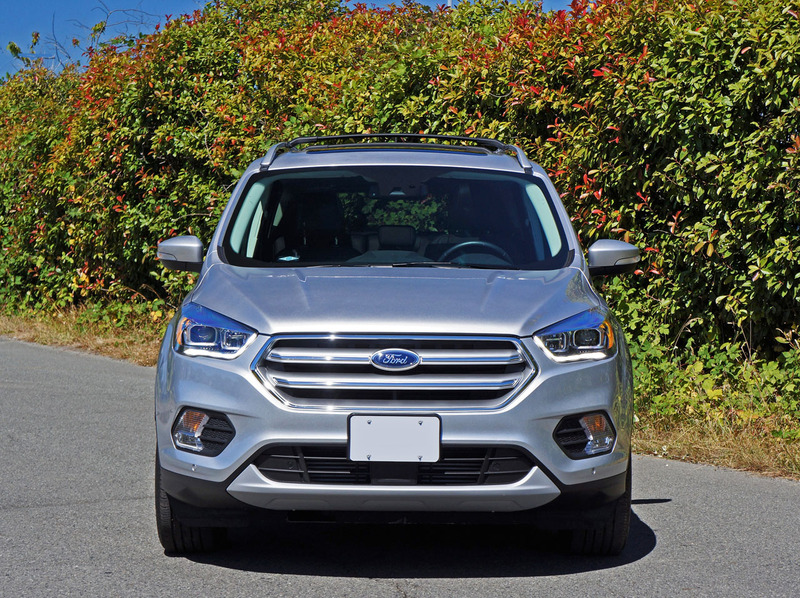 Consider for a moment that even with it slipping to second in its class last year and more recently fourth, it’s still more popular than 12 of its compact SUV competitors, and by a very wide margin. 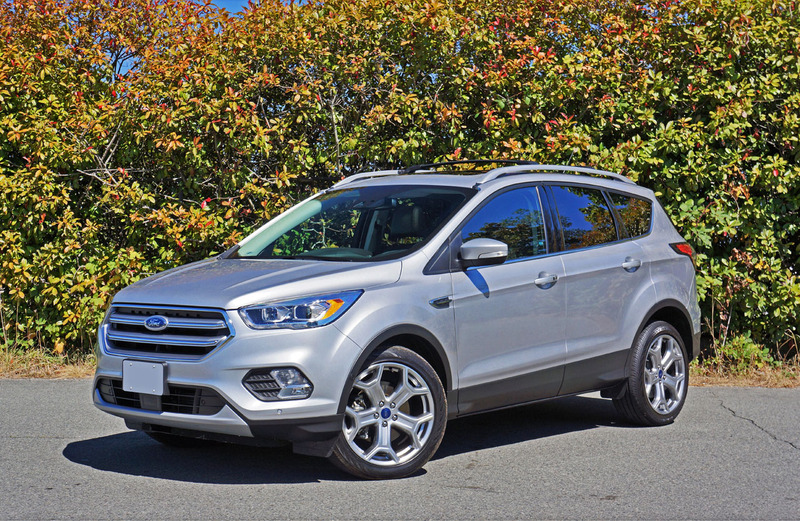 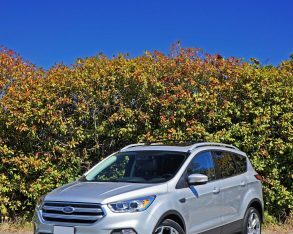 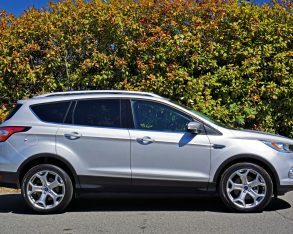 If you’re in the market for any one of the vehicles mentioned in this review, I recommend you spend some quality time with the latest Escape. 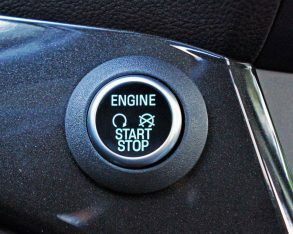 It didn’t become so popular by accident.